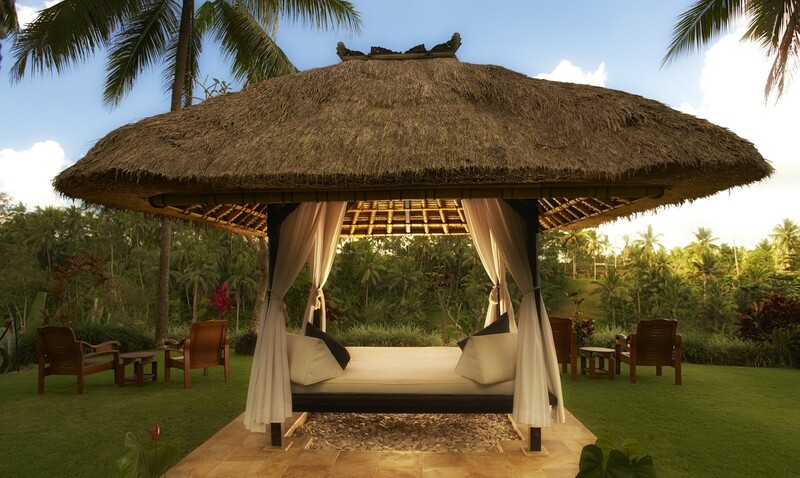 Viceroy Bali, the ultra-luxury Viceroy Bali resort and spa consists of 25-villas majestically situated on a secluded ridge of the Petanu River gorge along Bali’s “Valley of the Kings,” an appellation given by locals for the generations of Balinese royalty who have resided in nearby villages. 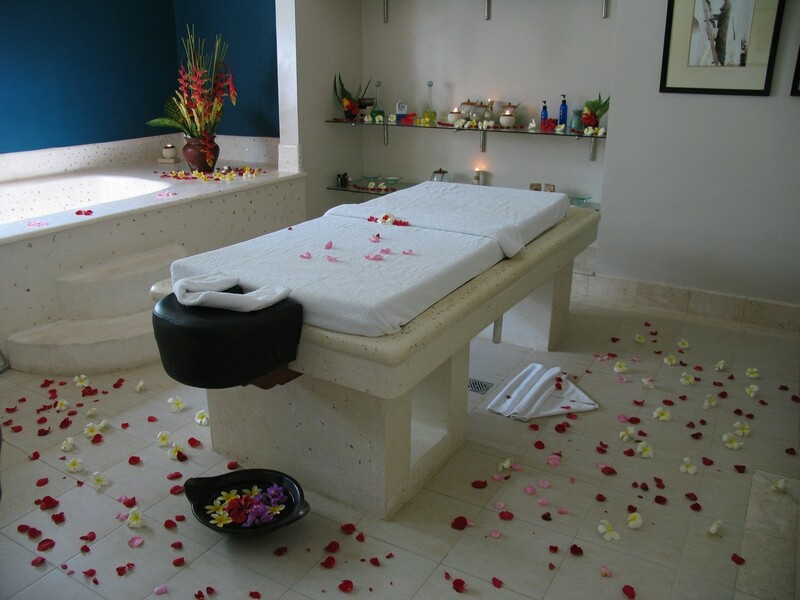 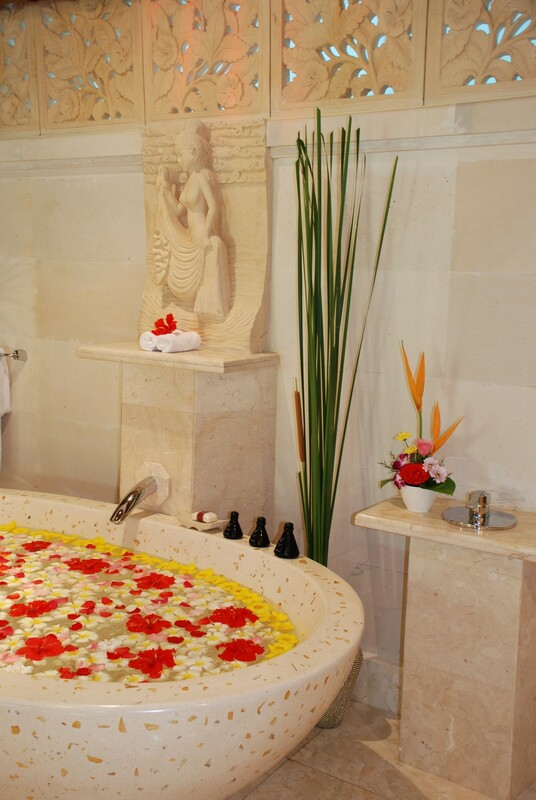 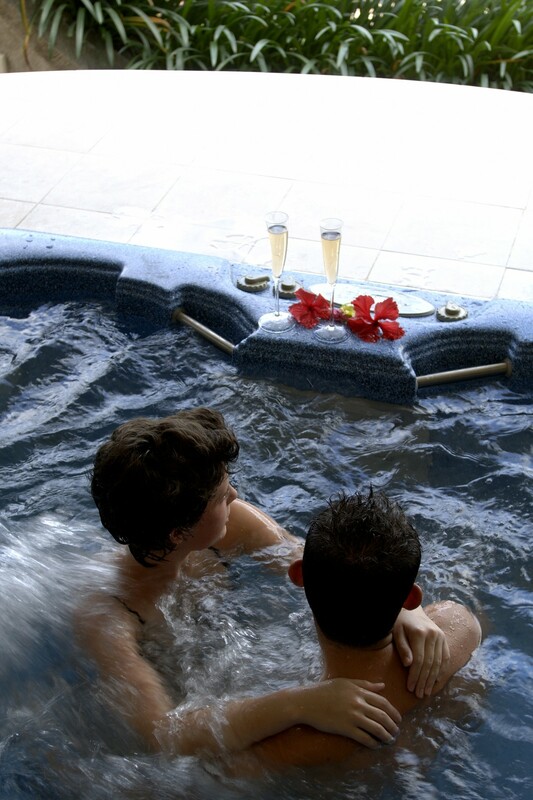 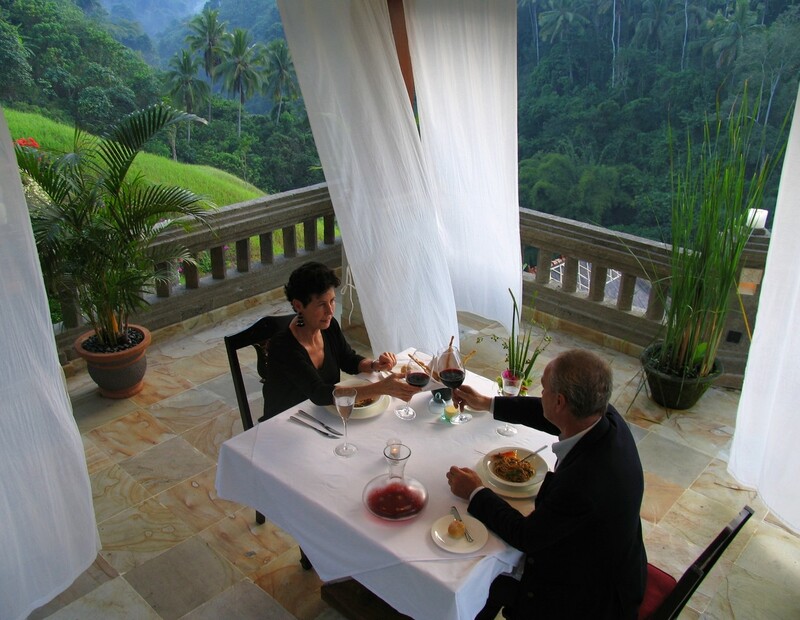 The resort is also well known by sophisticated international travellers as one of the world’s secret tropical hideaways and respected by its many repeat guests as a destination that places emphasis on the best of privacy and comfort. 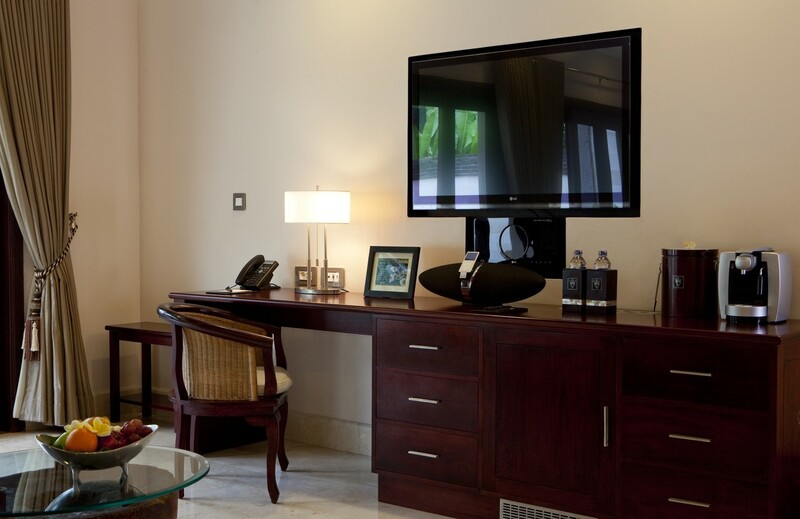 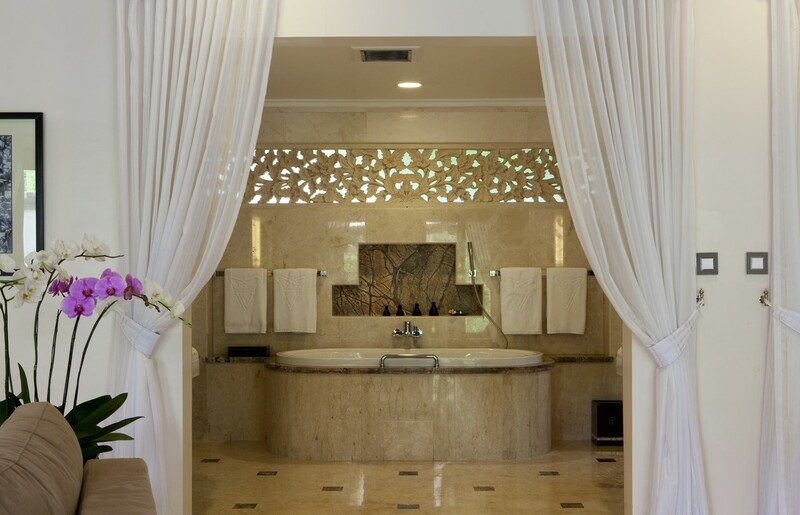 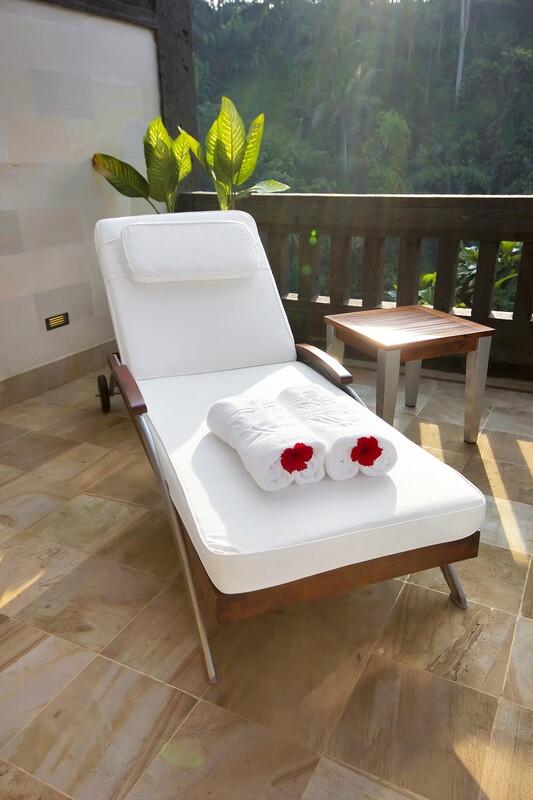 Villas are generously appointed with the latest electronic amenities, espresso machines, king size beds, as well as private pools and relaxing outdoor spaces each with stunning valley views. 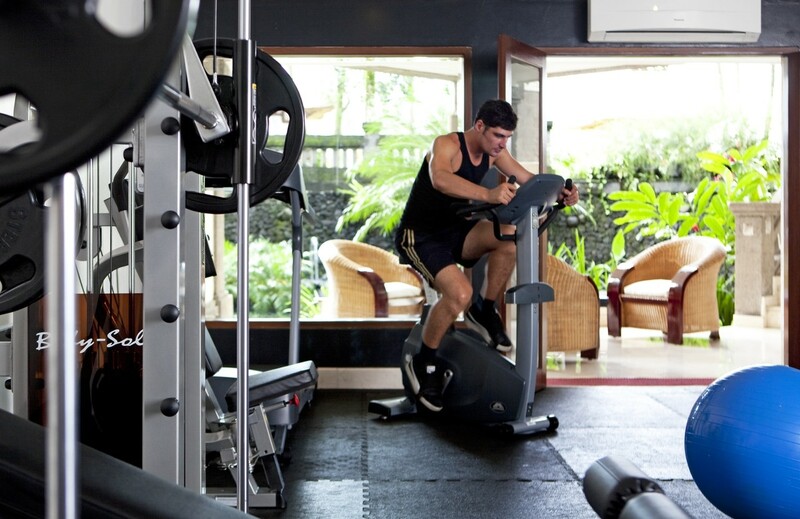 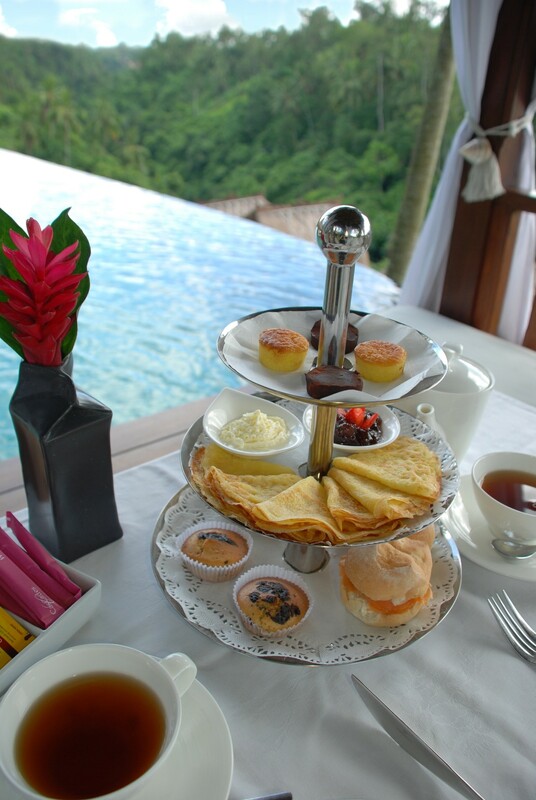 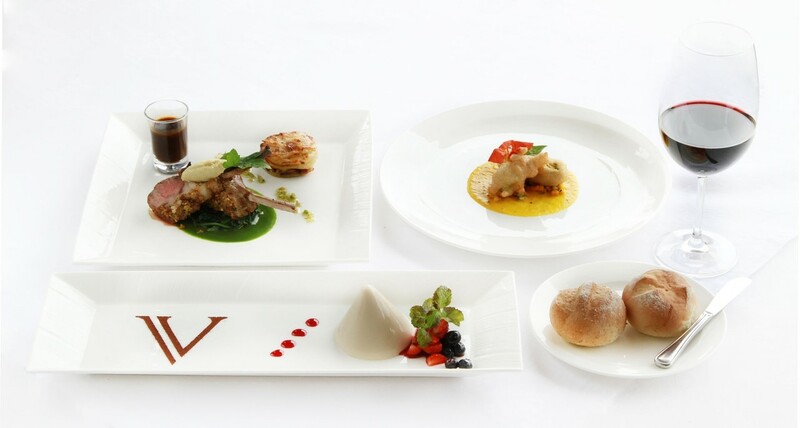 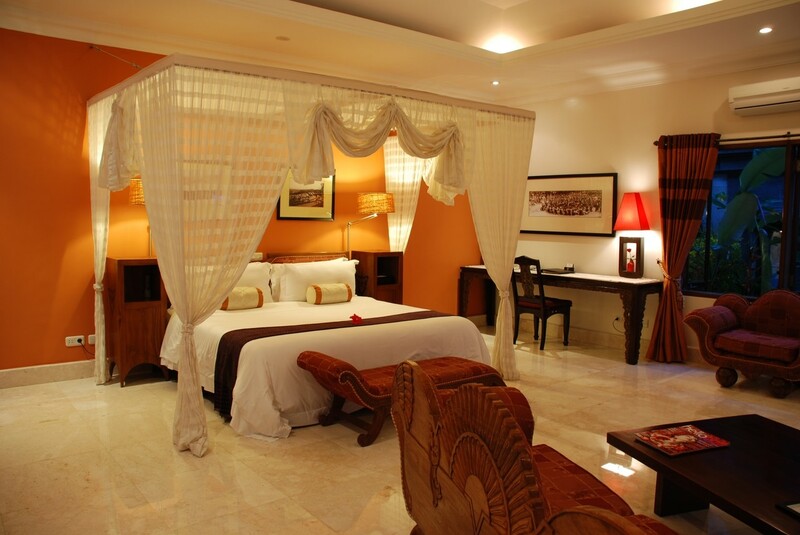 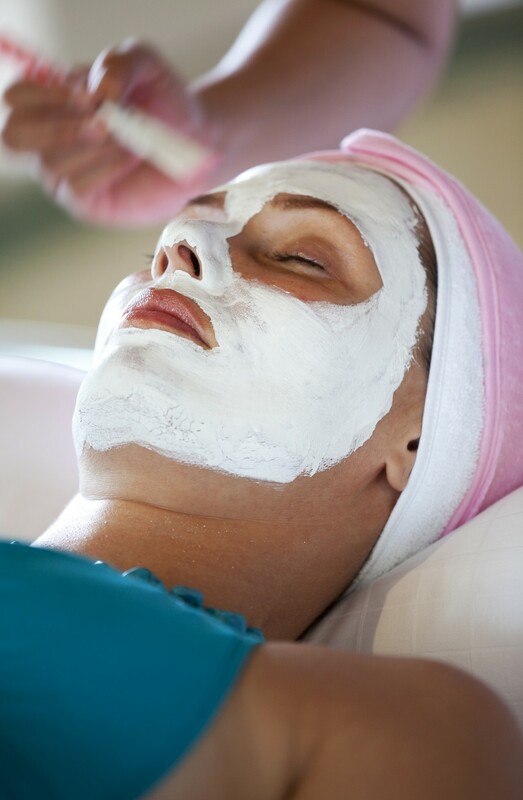 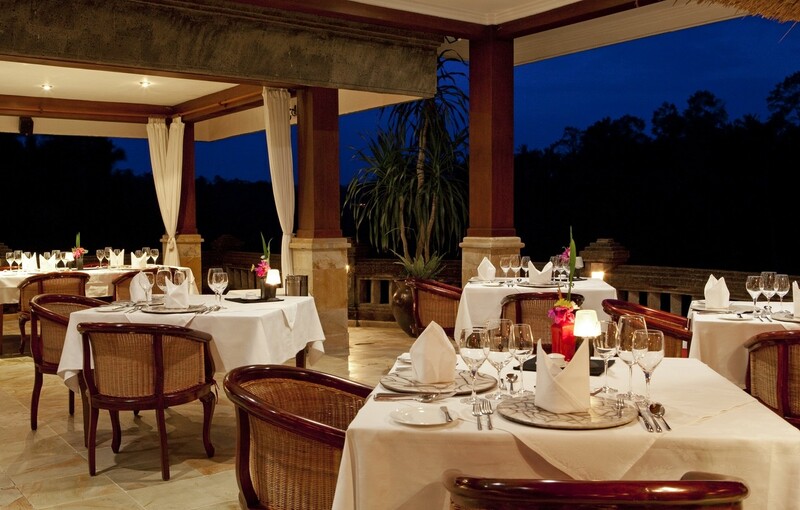 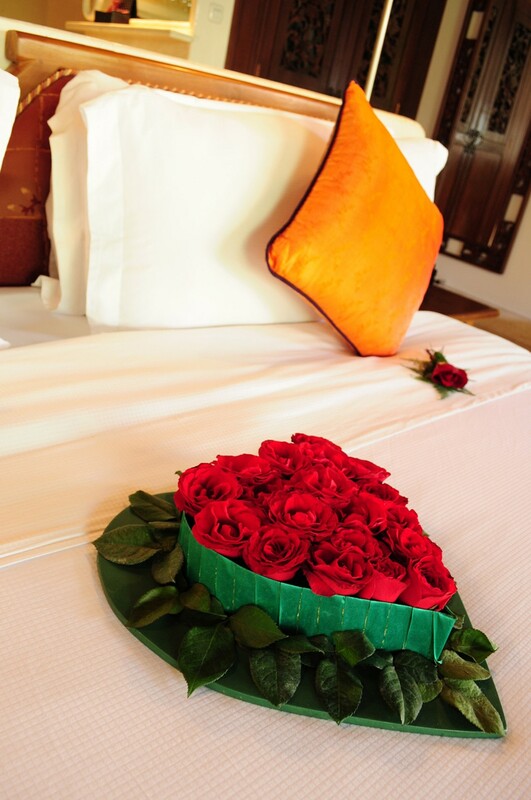 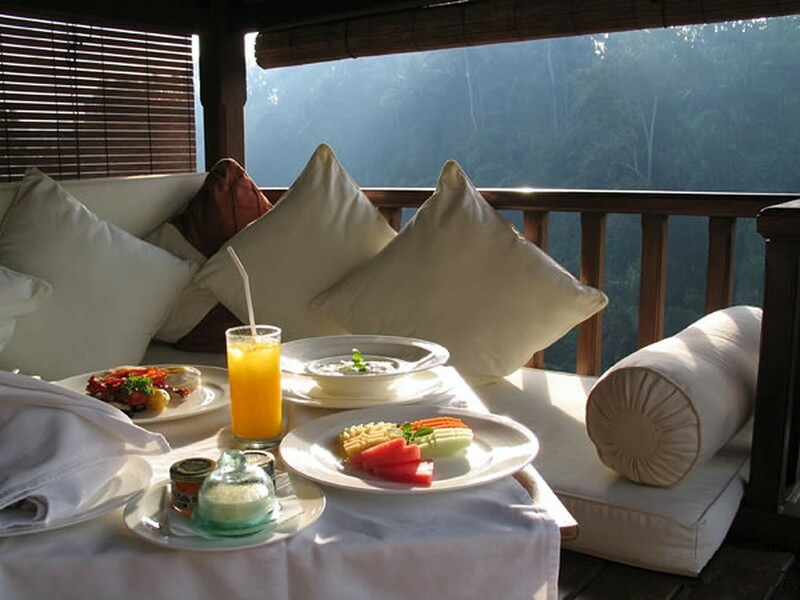 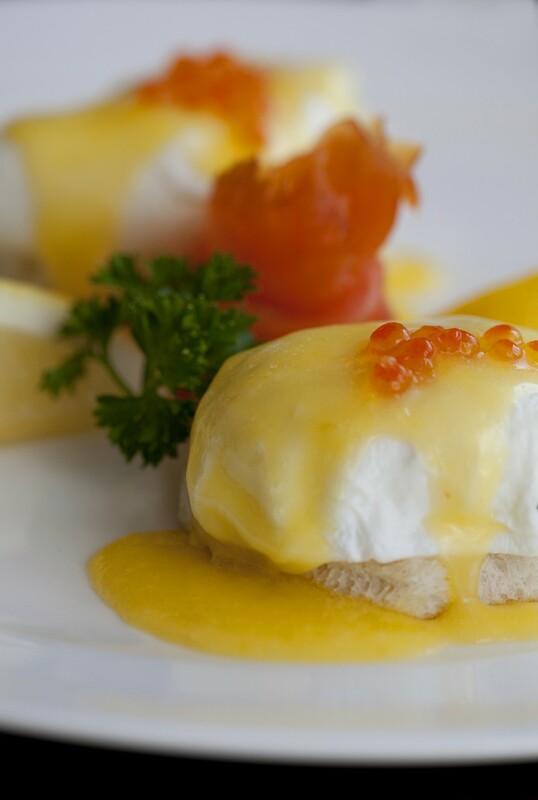 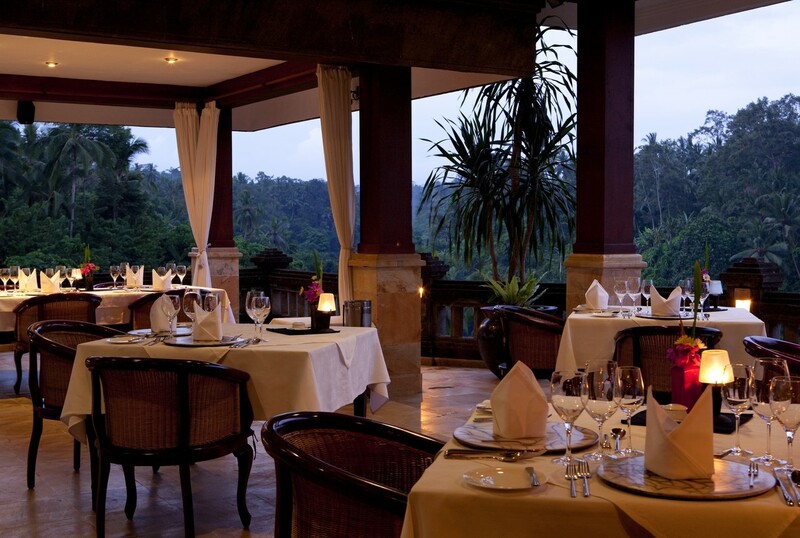 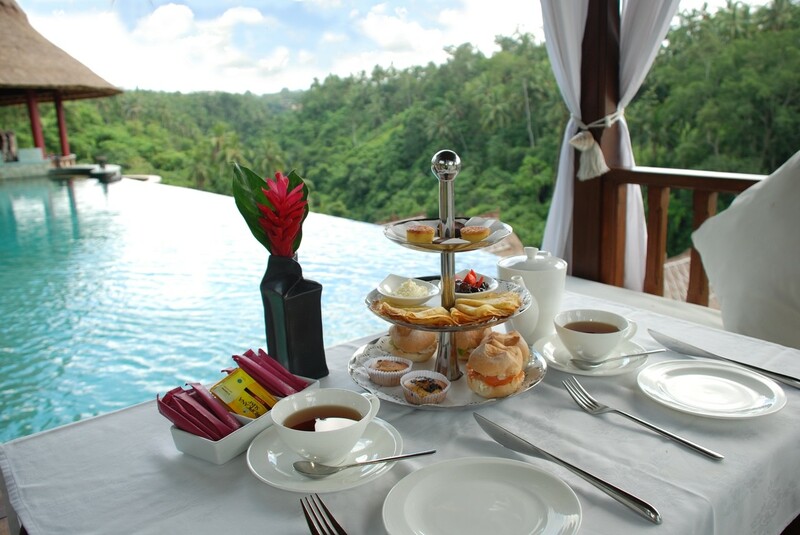 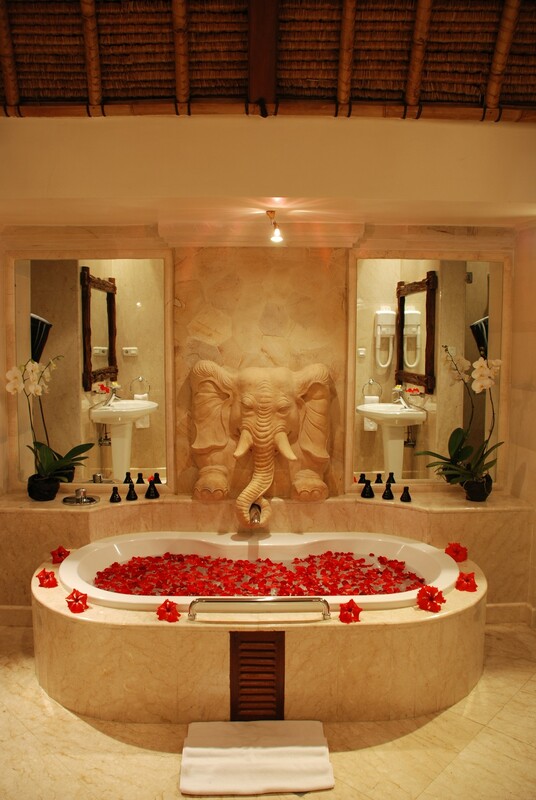 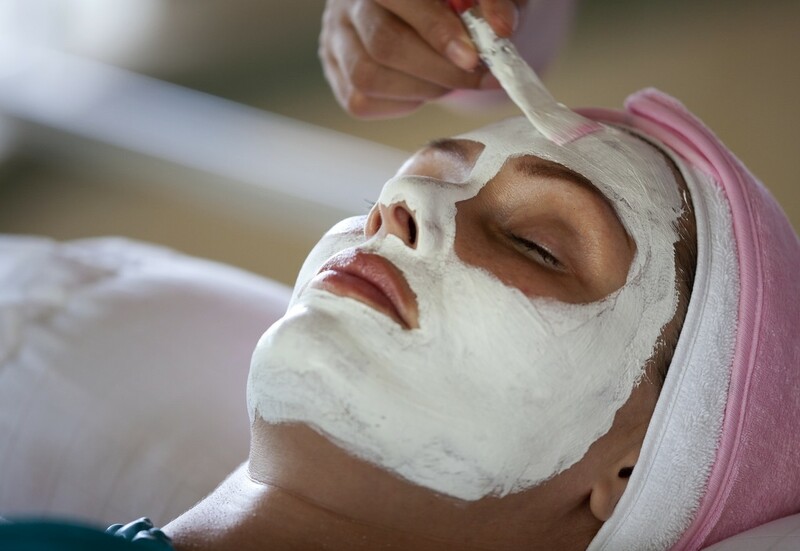 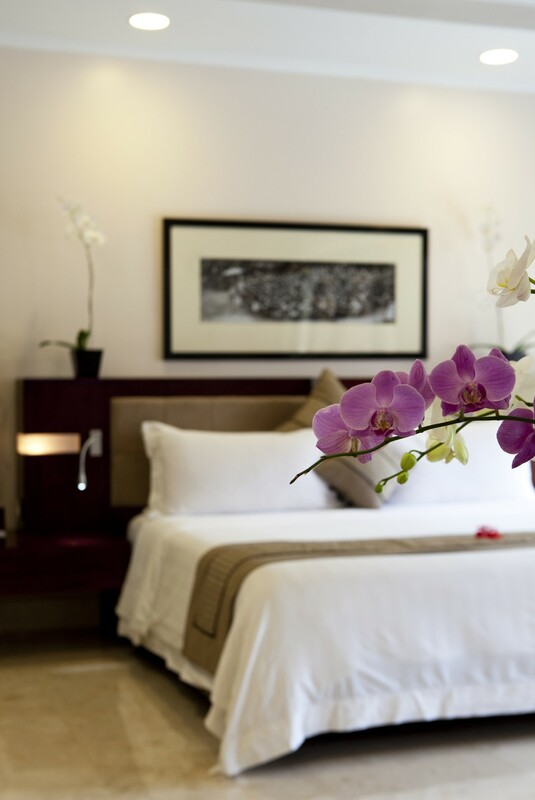 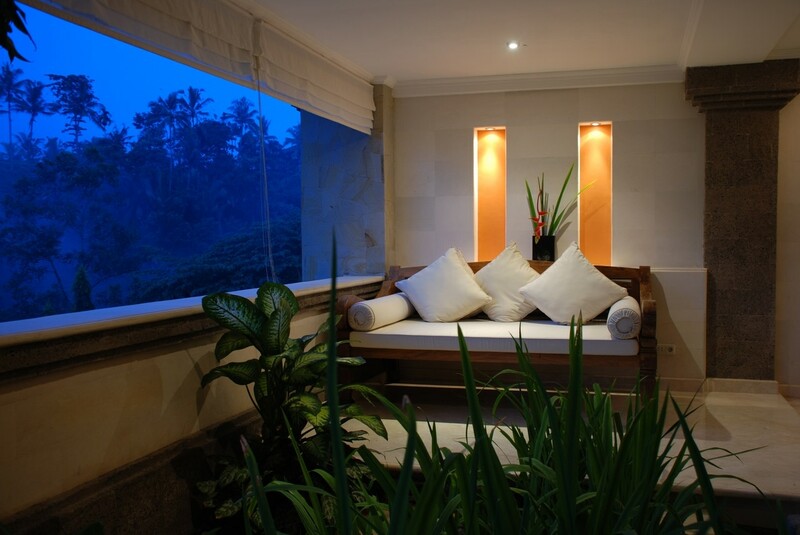 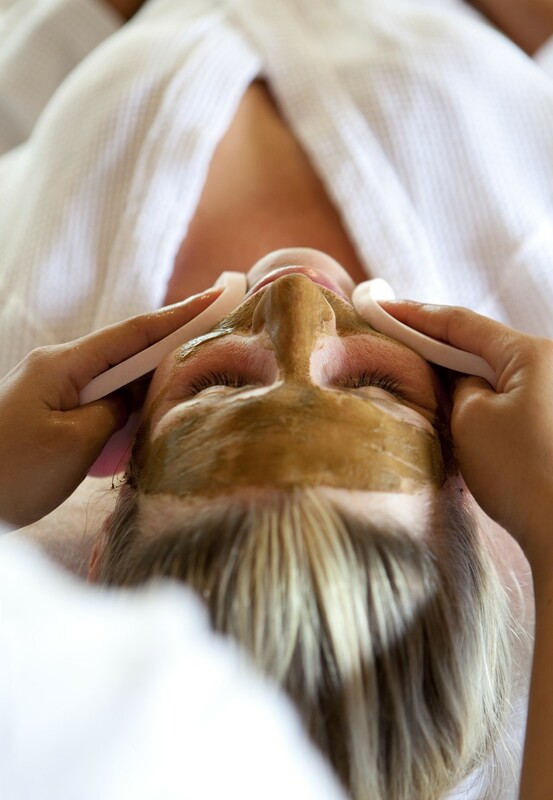 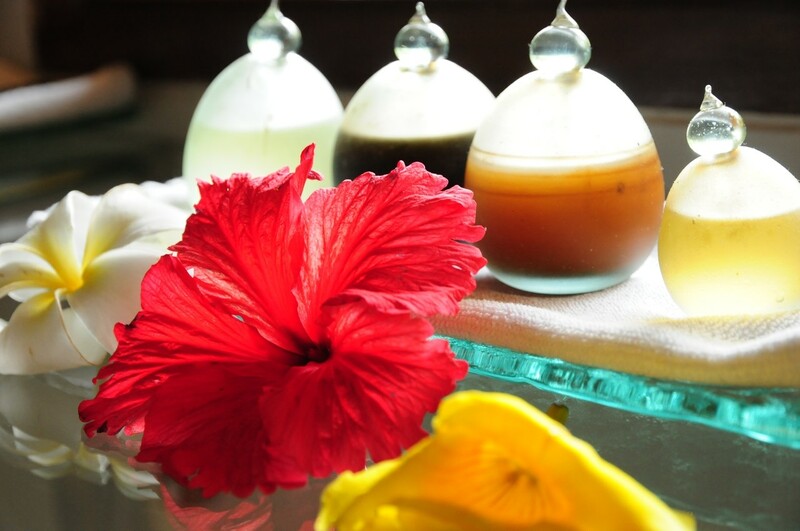 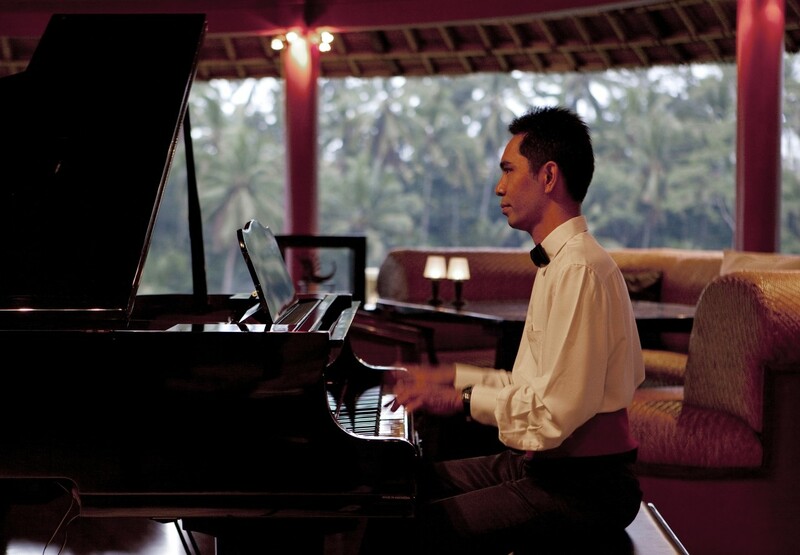 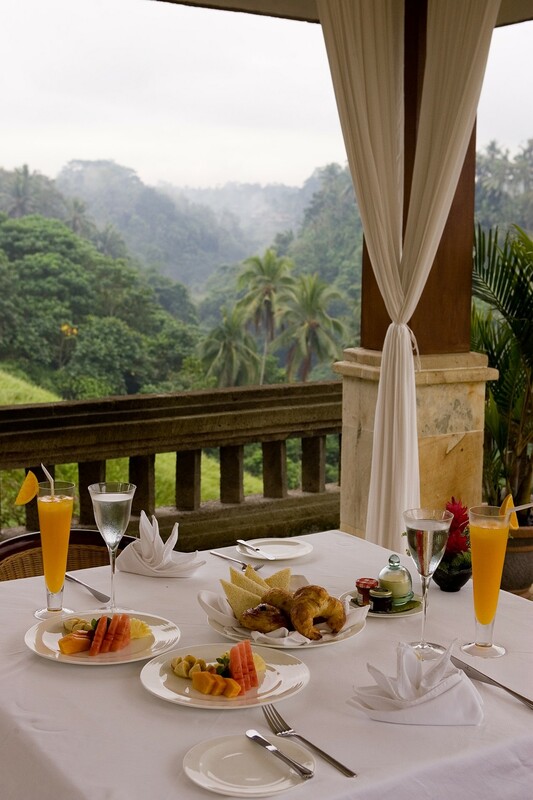 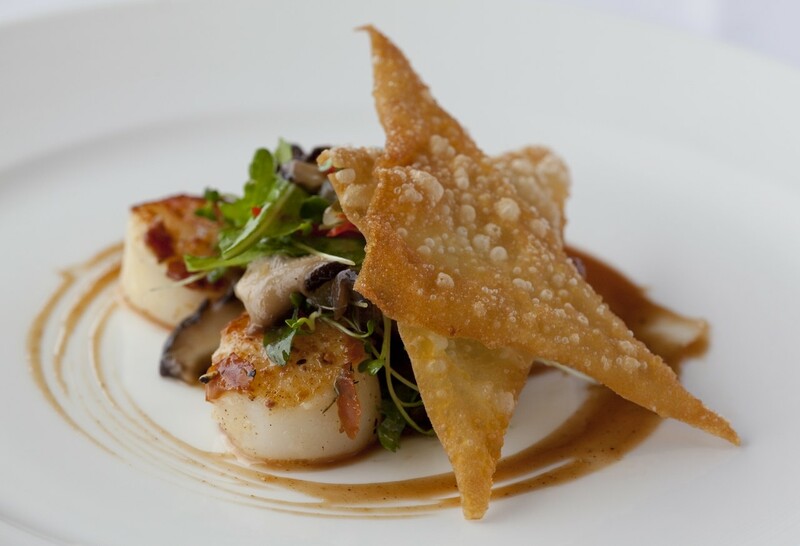 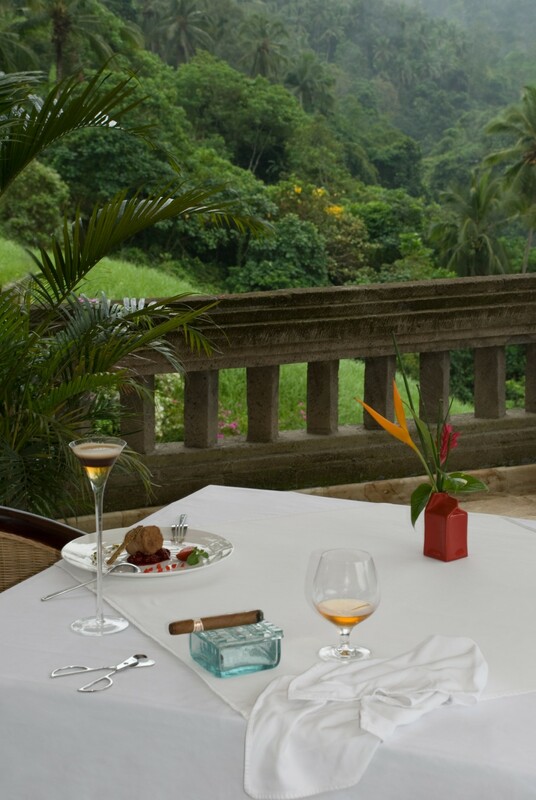 Guests also appreciate the impeccable service and standards and peerless public facilities including the feted restaurant and bar, Cascades, and opulent spa and beauty centre, Lembah, both with breathtaking vistas. 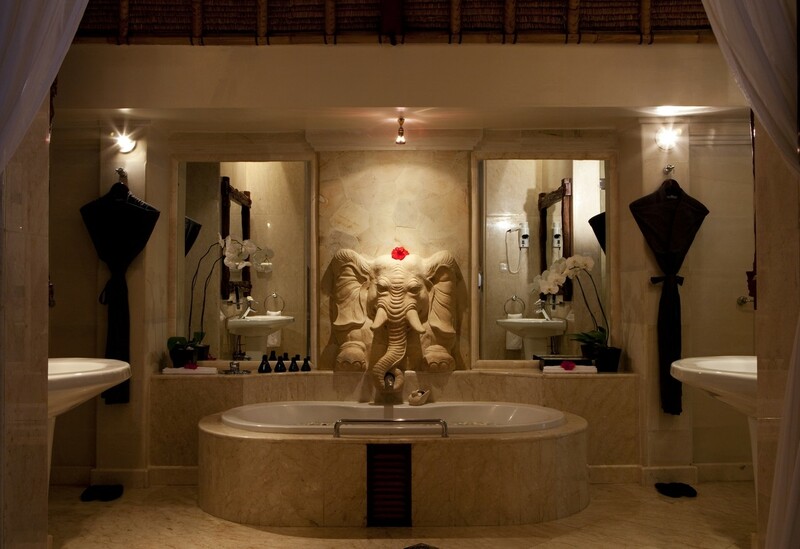 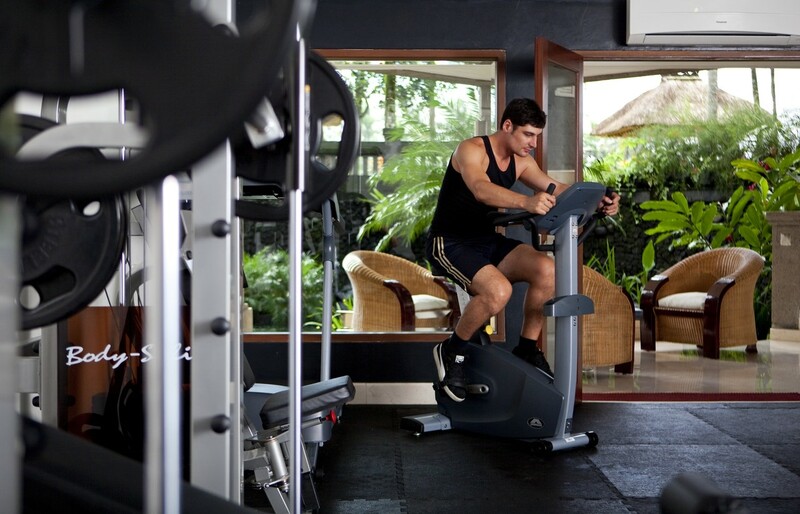 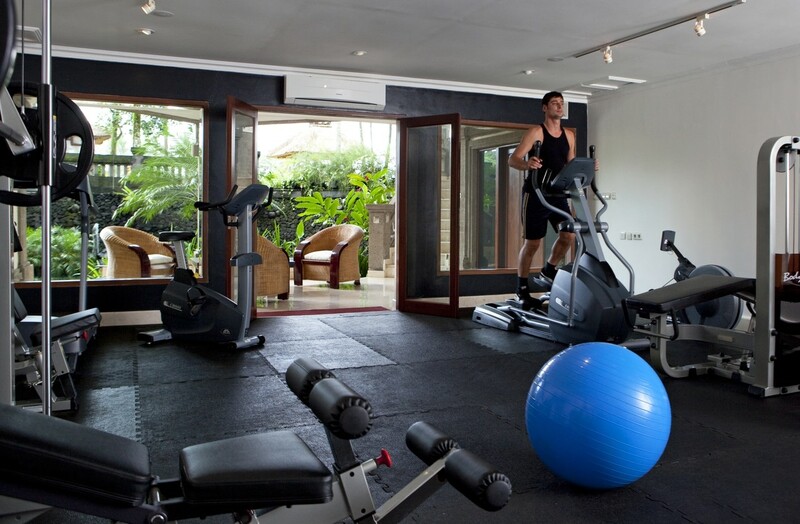 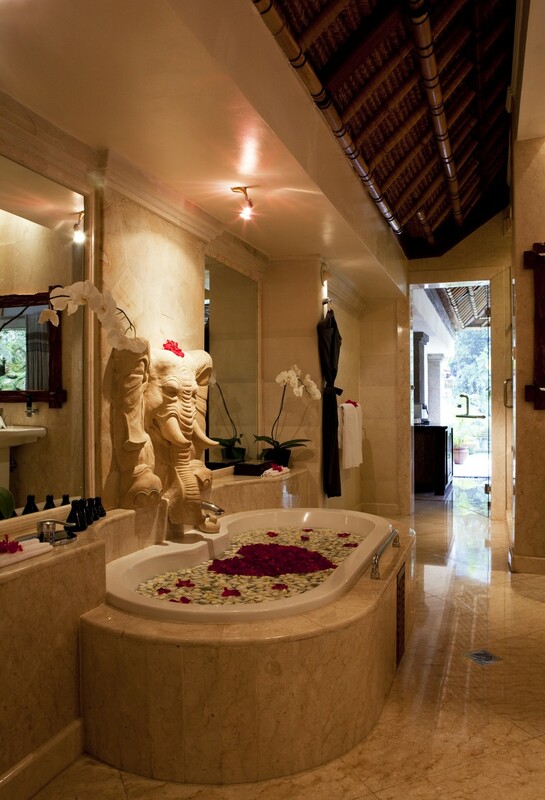 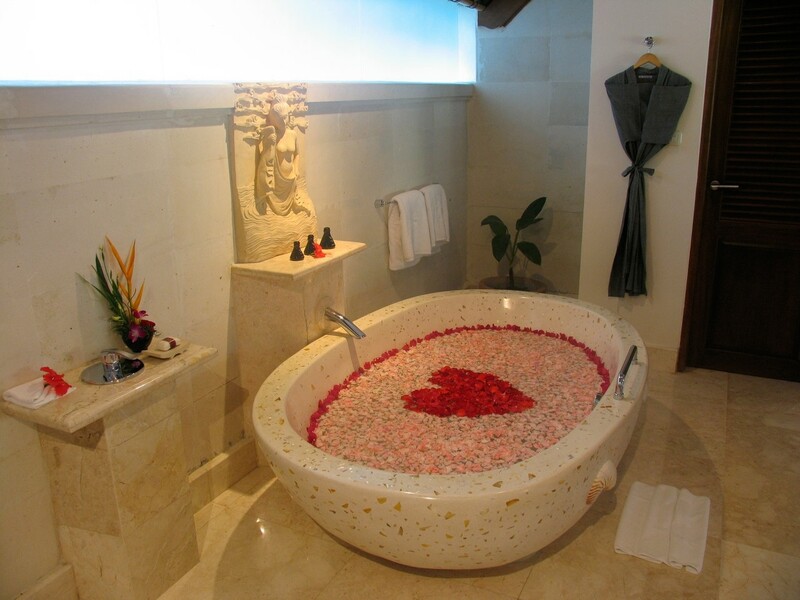 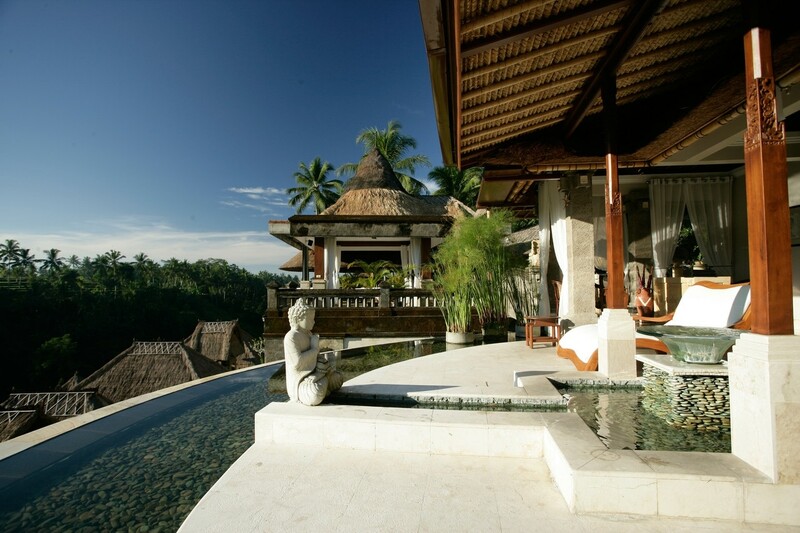 In addition, the property offers its guests a complete and modern gymnasium, valley-top infinity pool and library. 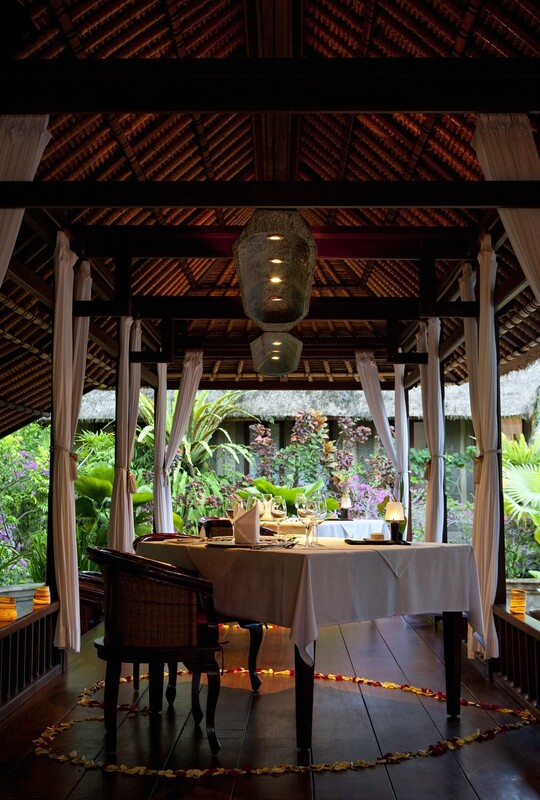 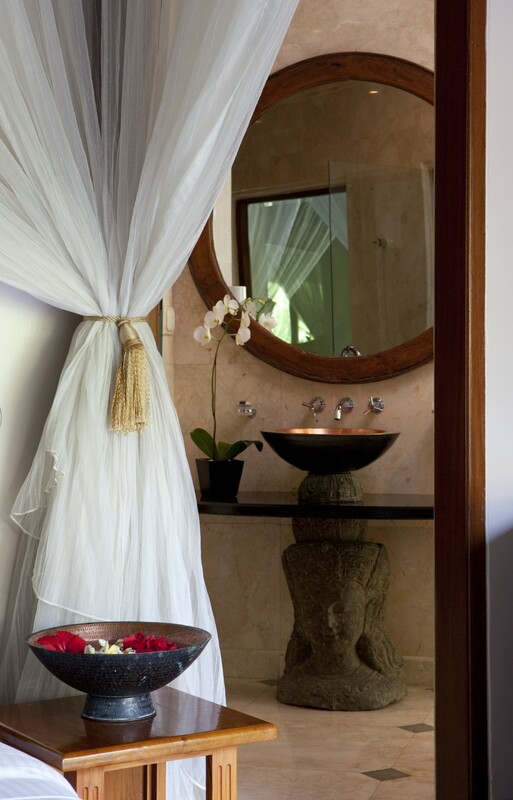 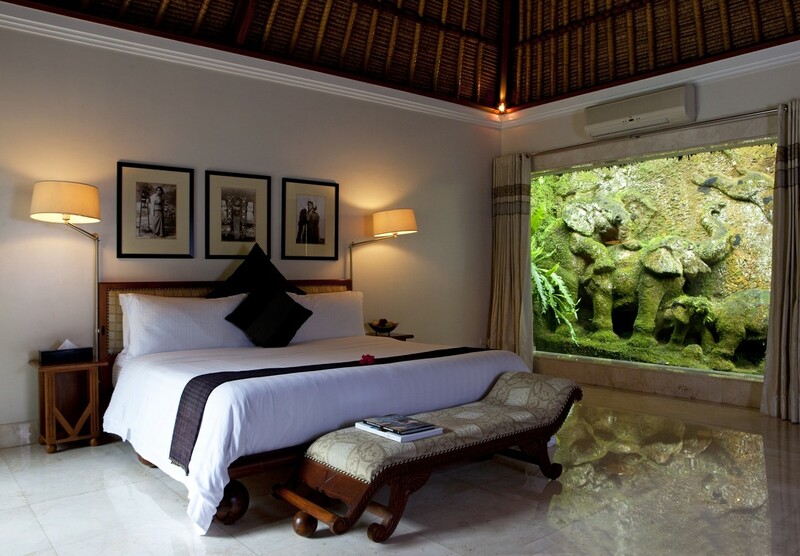 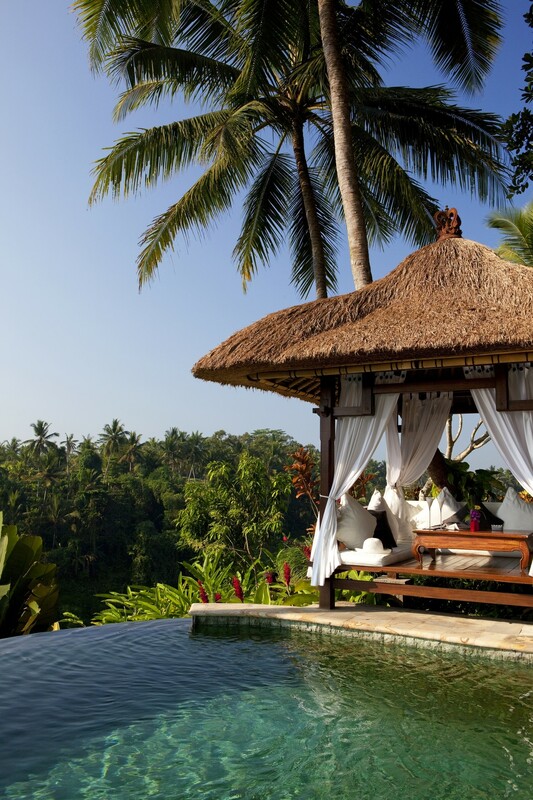 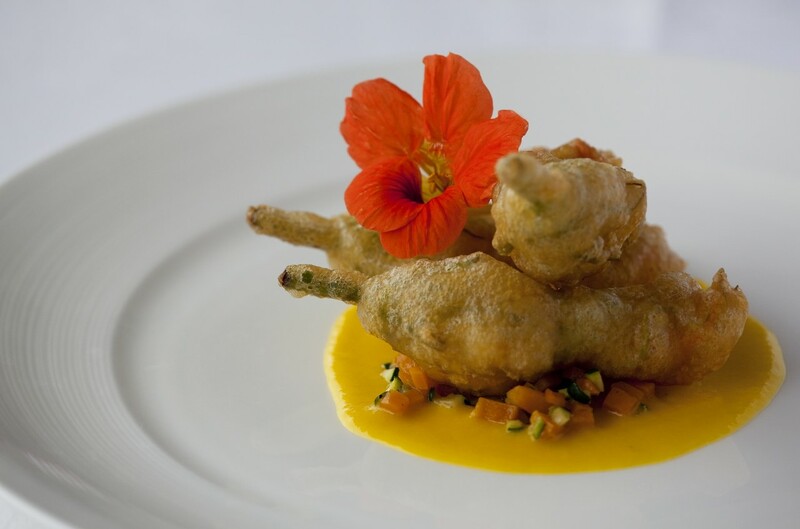 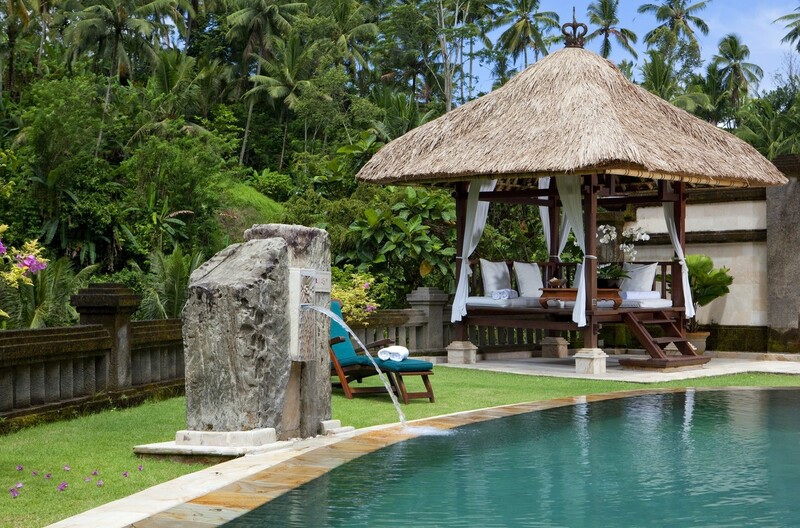 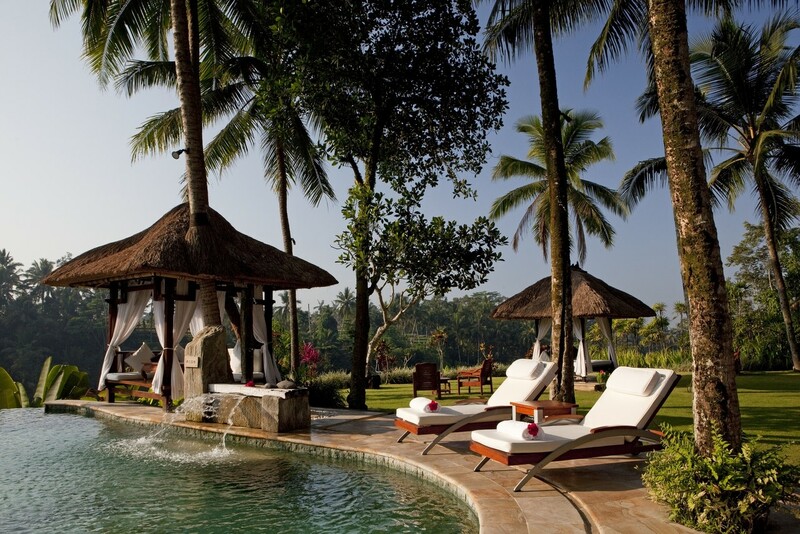 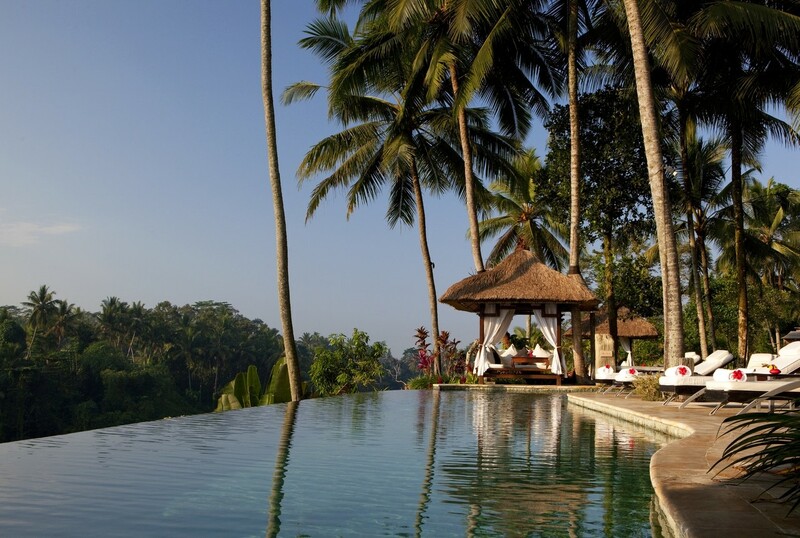 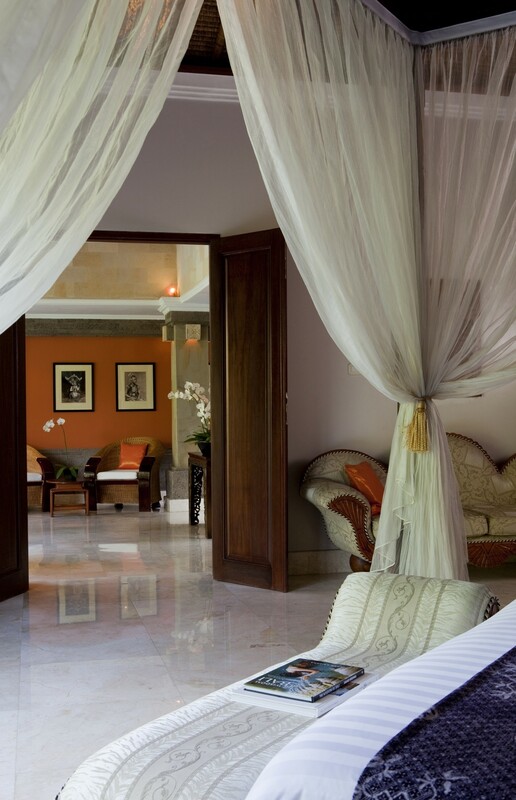 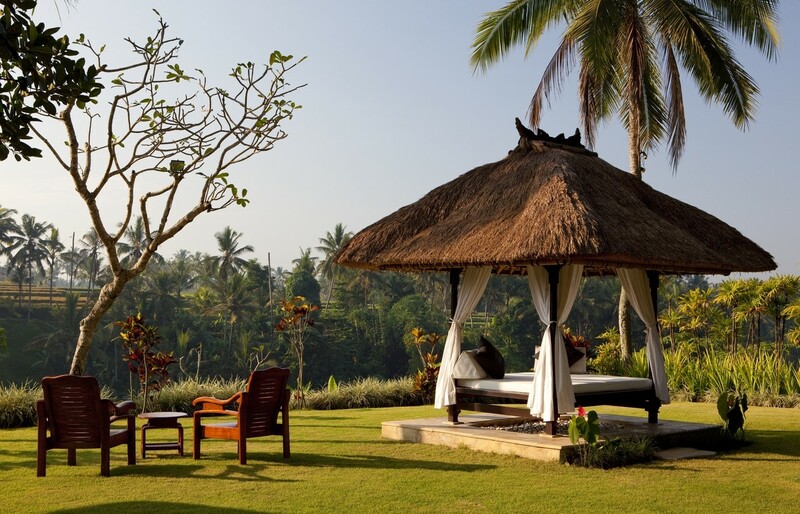 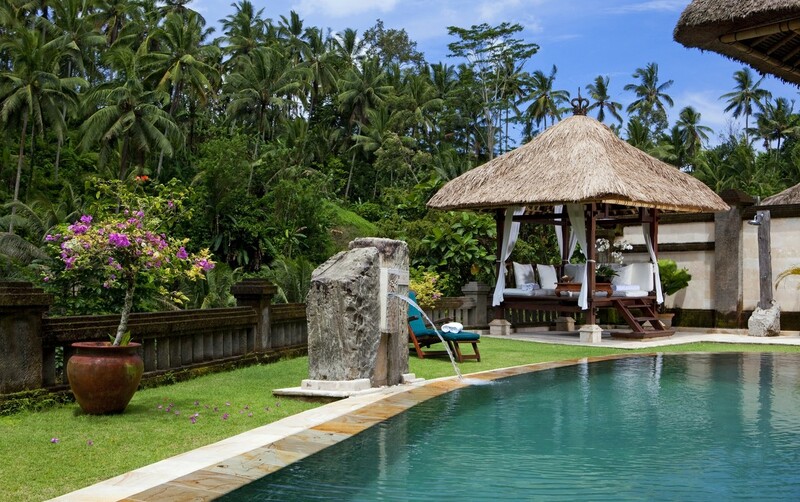 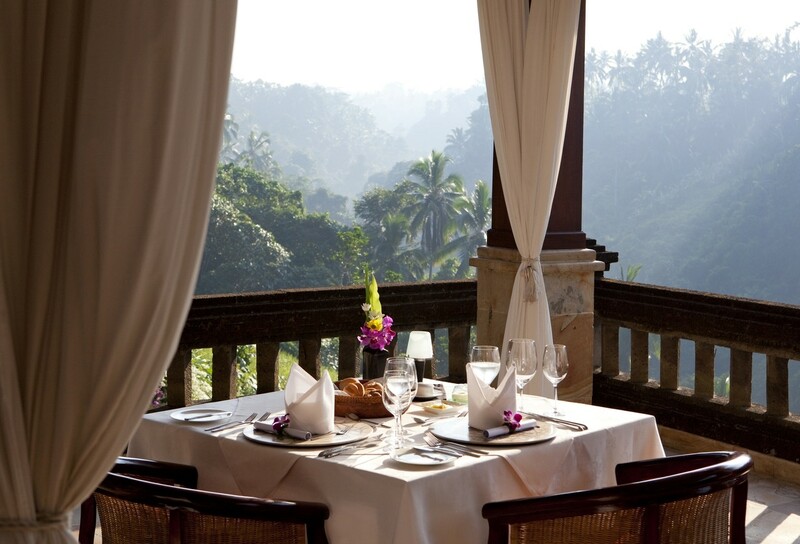 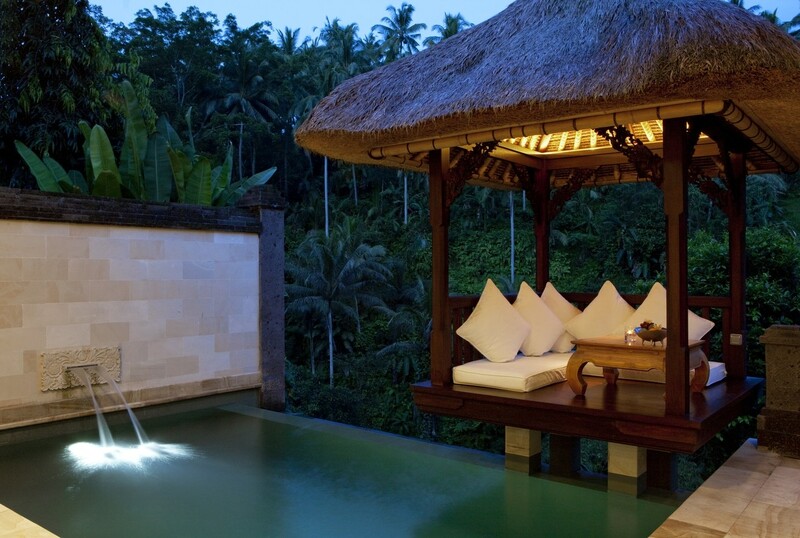 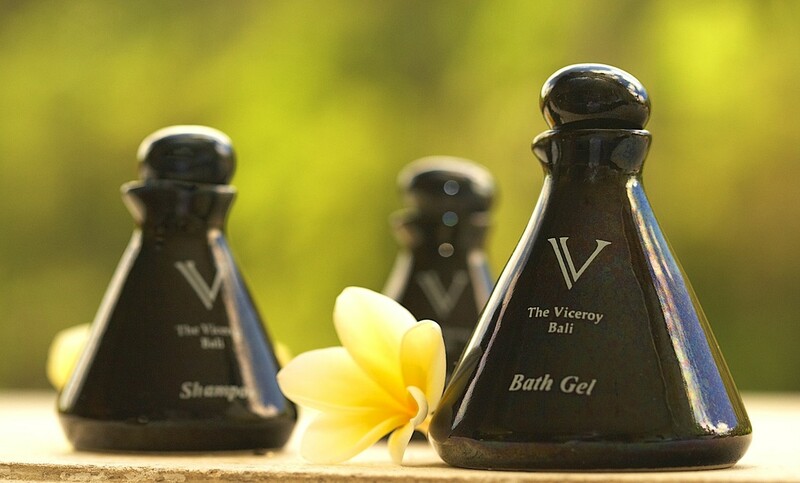 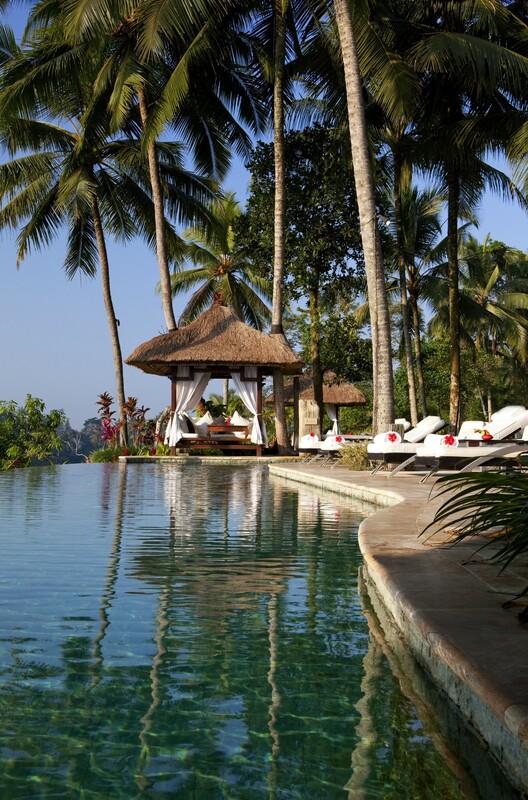 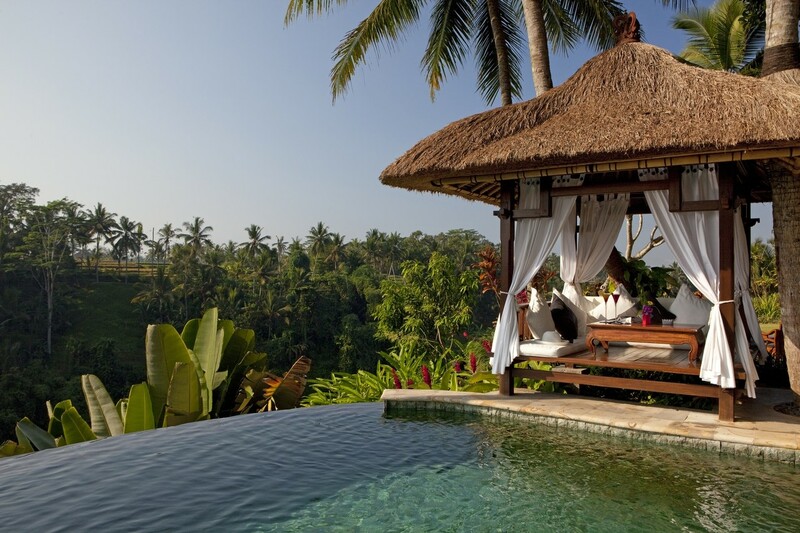 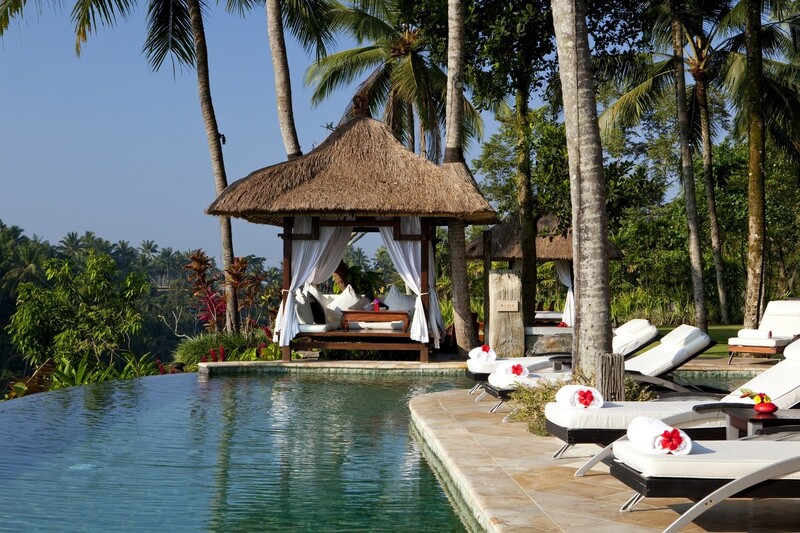 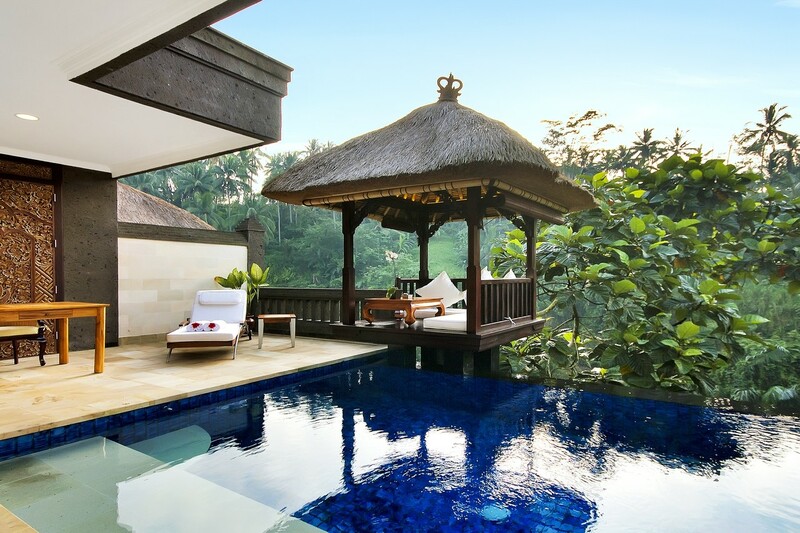 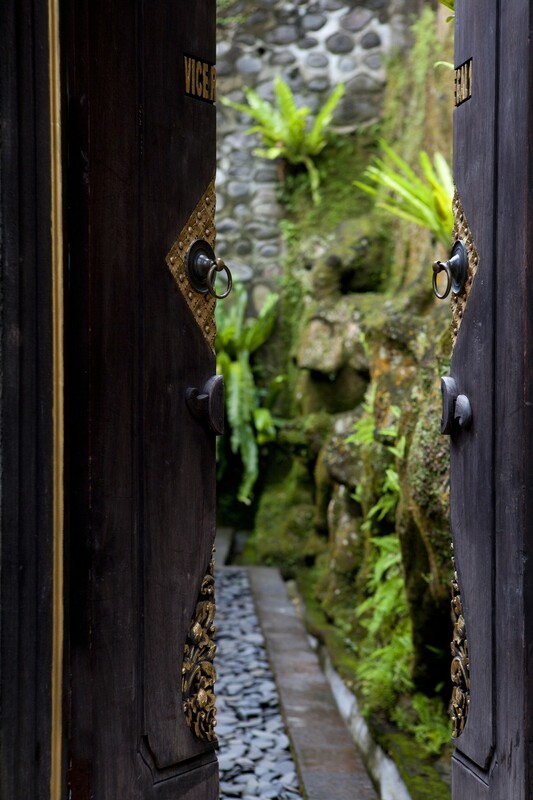 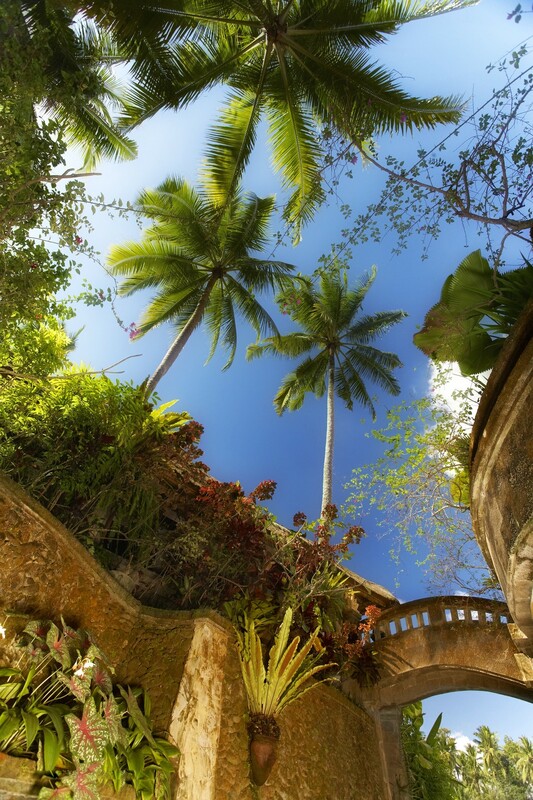 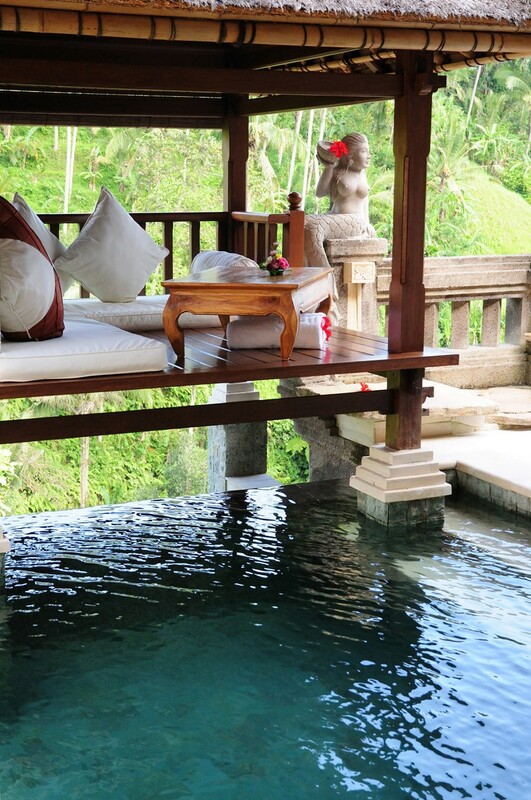 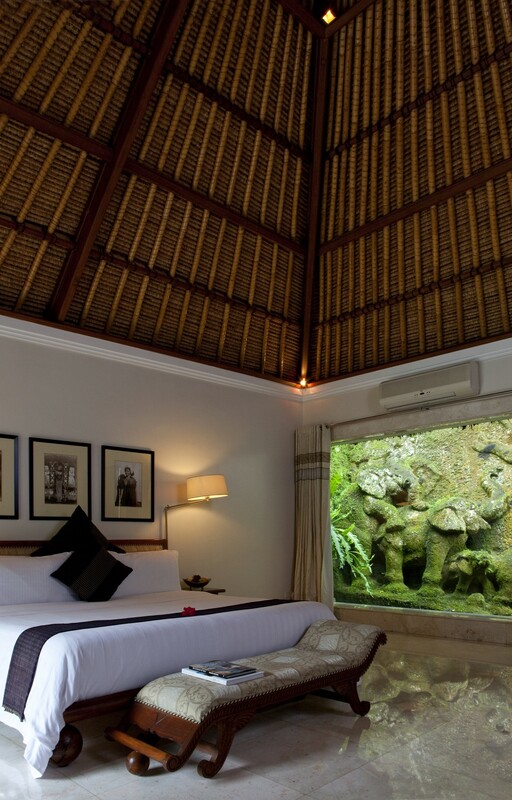 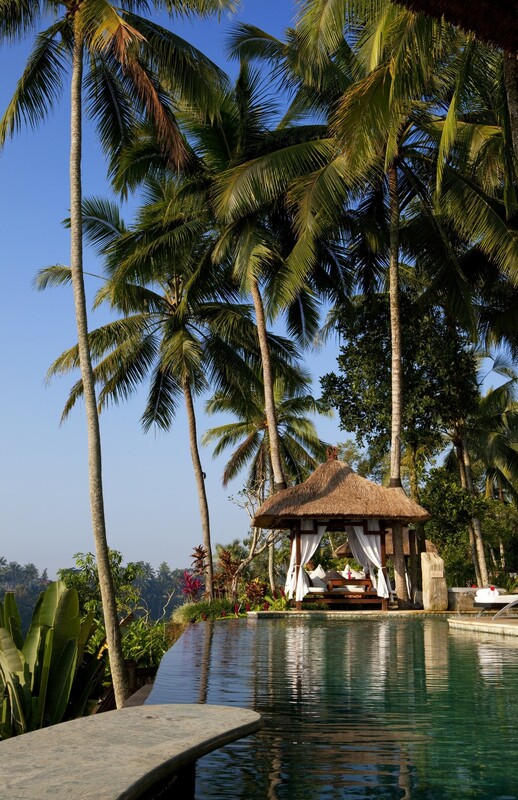 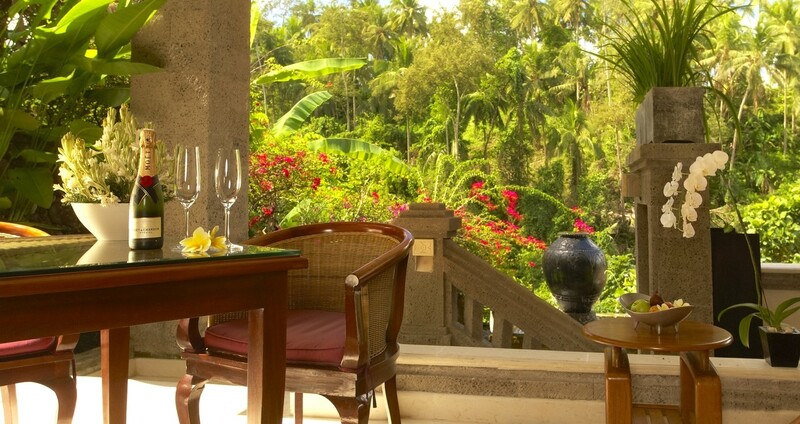 The Viceroy Bali is located within minutes from Ubud, one of S.E Asia’s most charming villages, with its leisurely pace and eccentric air, bric-a-brac shops, curious galleries and quaint restaurants. 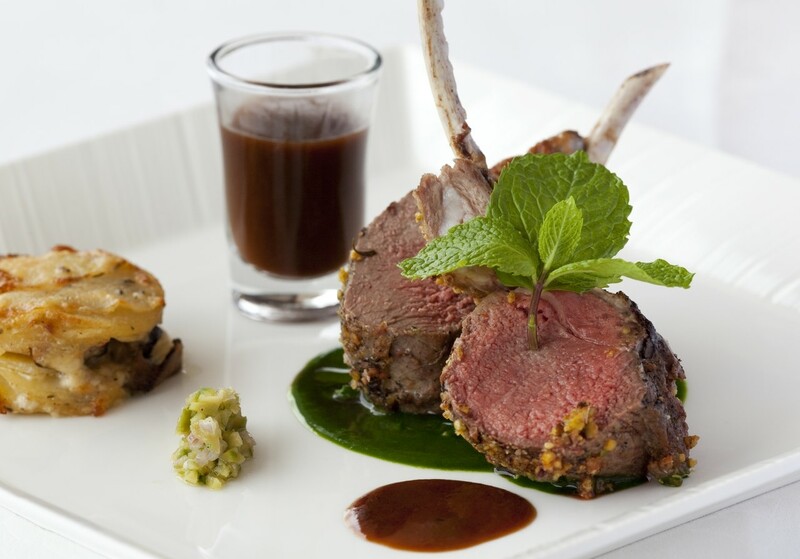 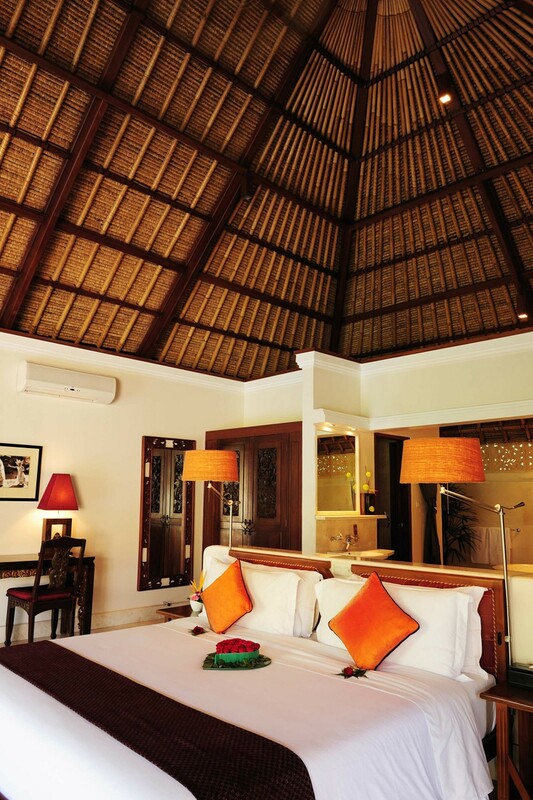 Ensuring the guest experience goes without fault, the resort is meticulously presided over by an Australian family who understand the many needs of its international guests. 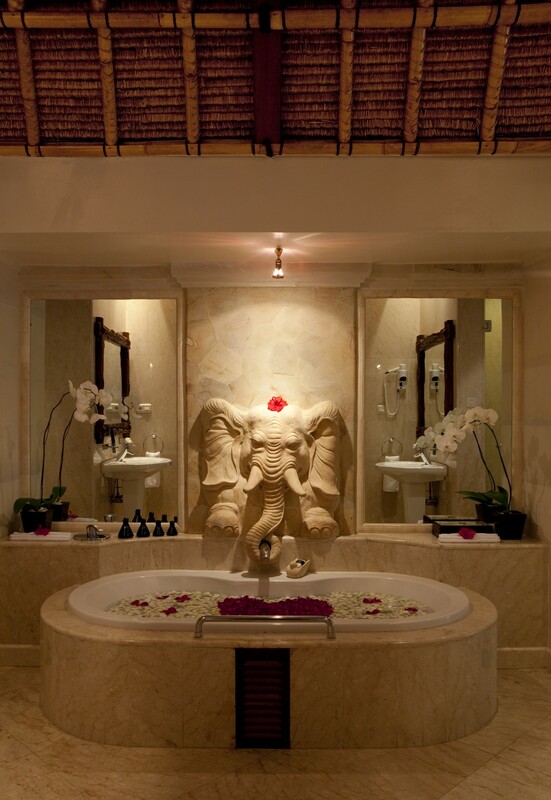 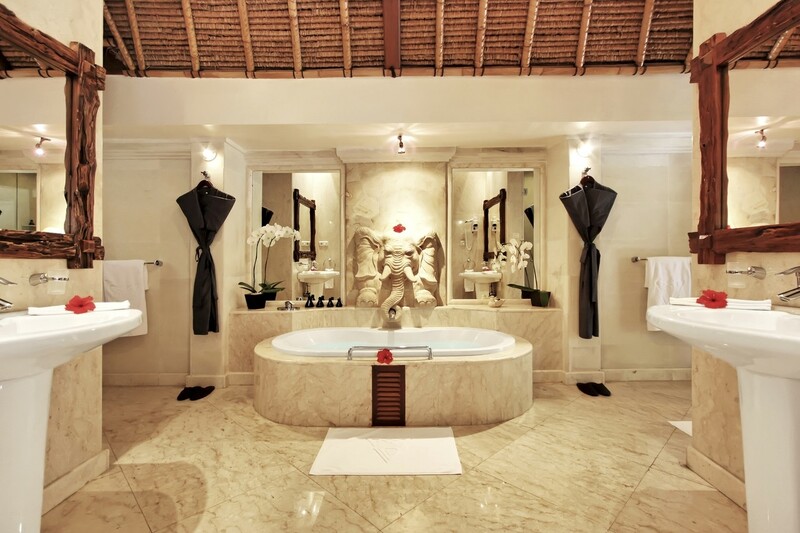 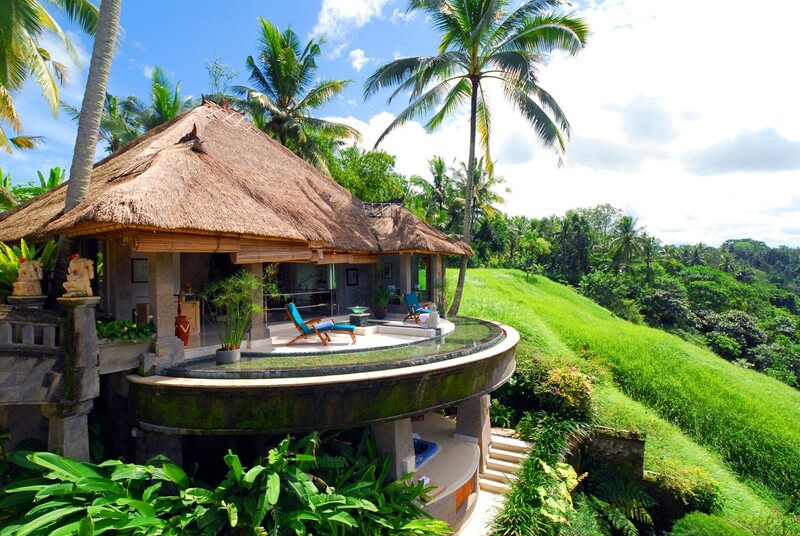 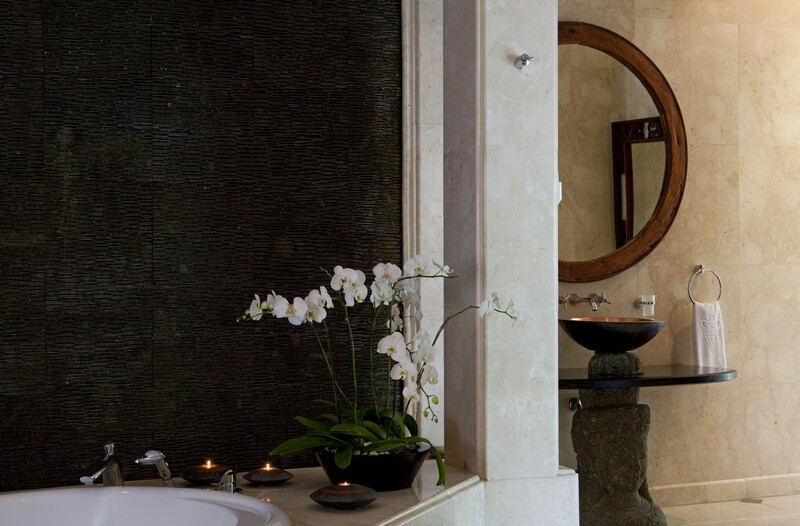 After two years of construction, the Viceroy Bali opened in 2005 by an Australian family from Sydney and today ranks as one of Bali’s finest accommodations. 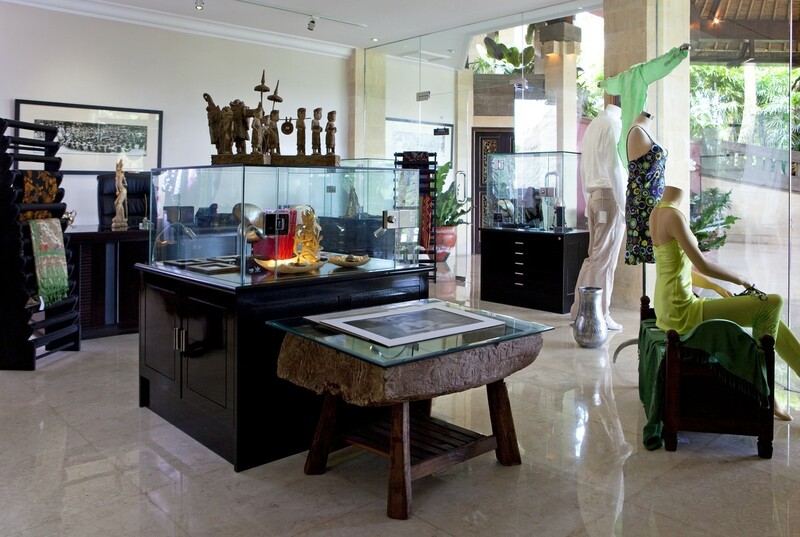 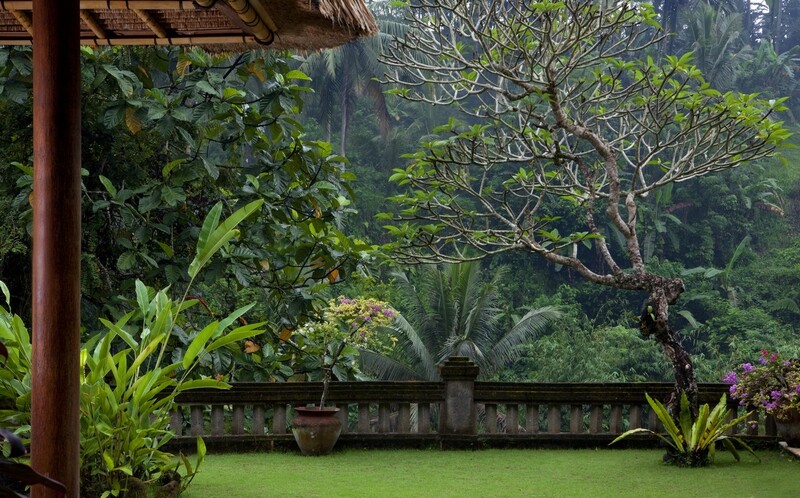 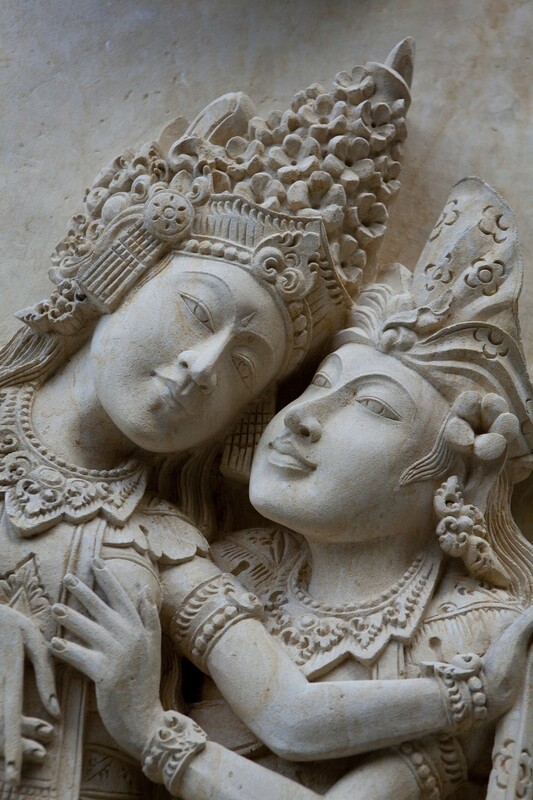 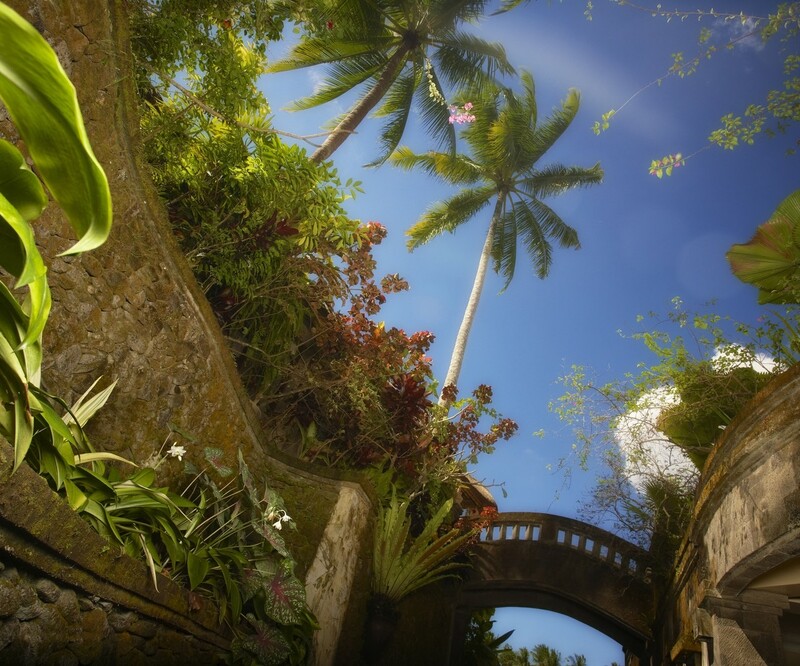 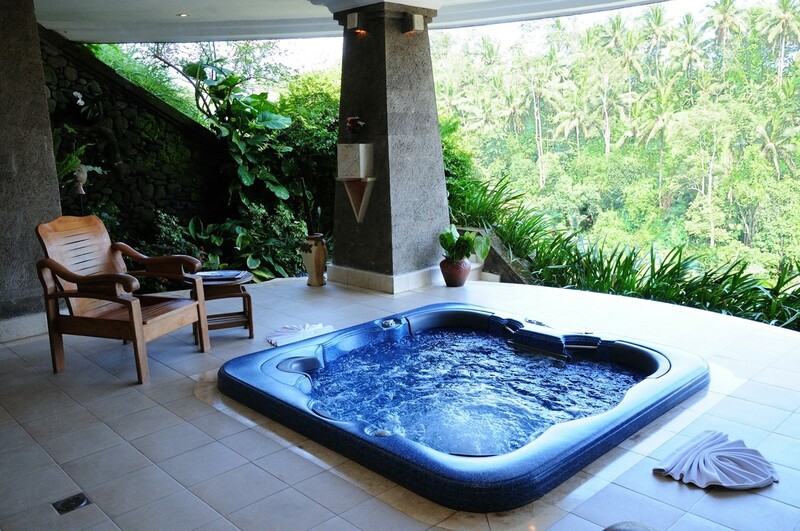 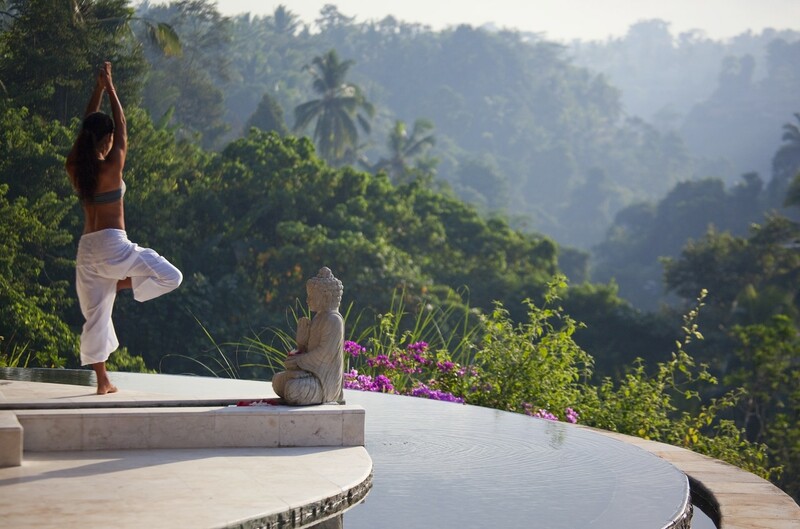 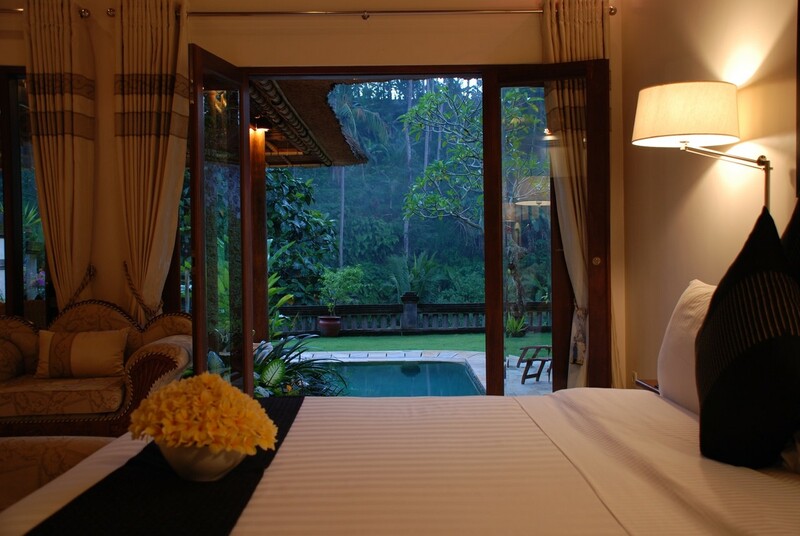 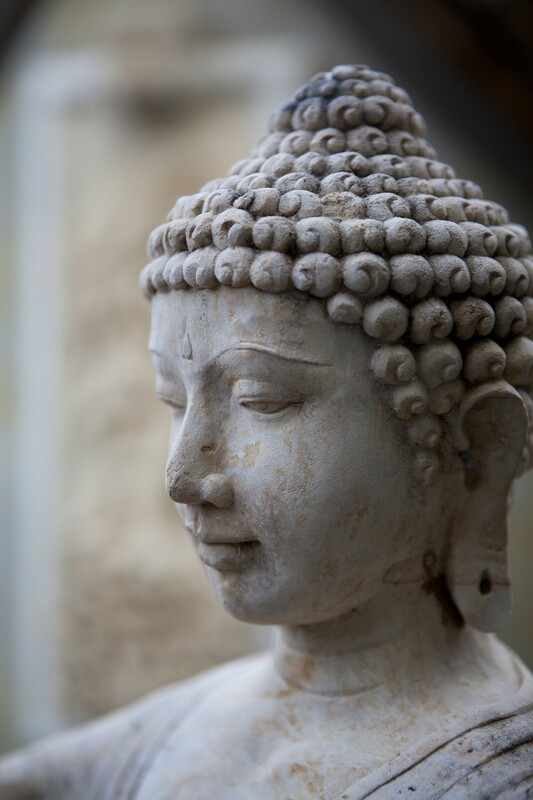 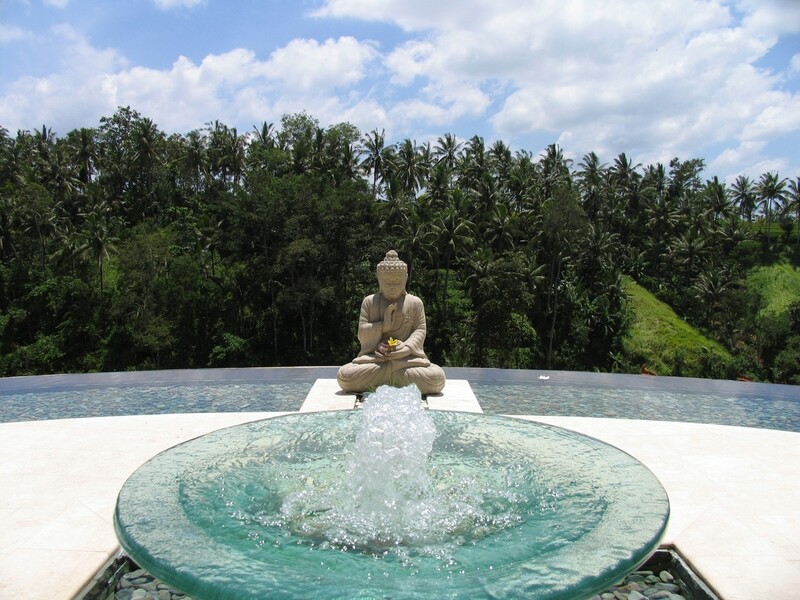 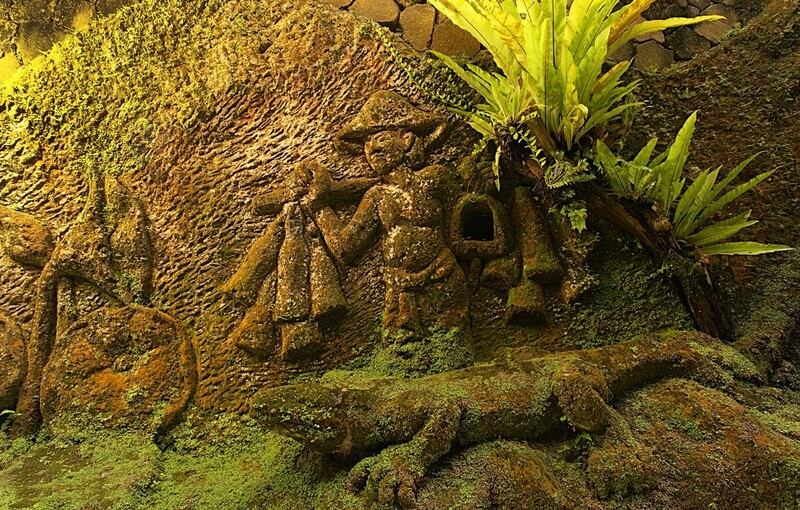 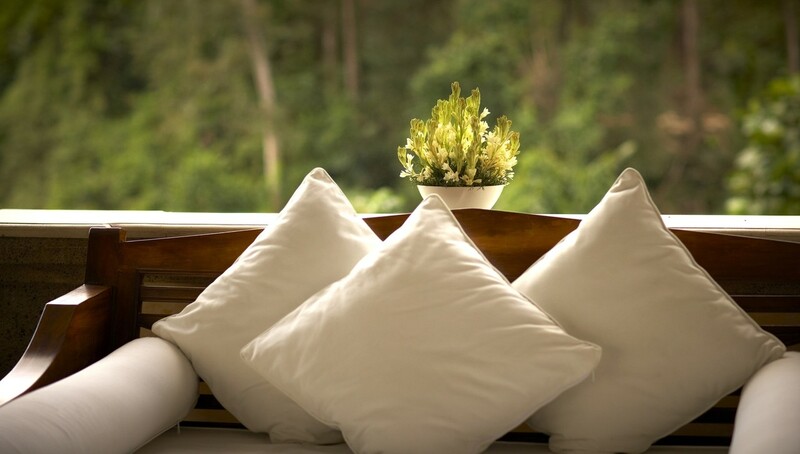 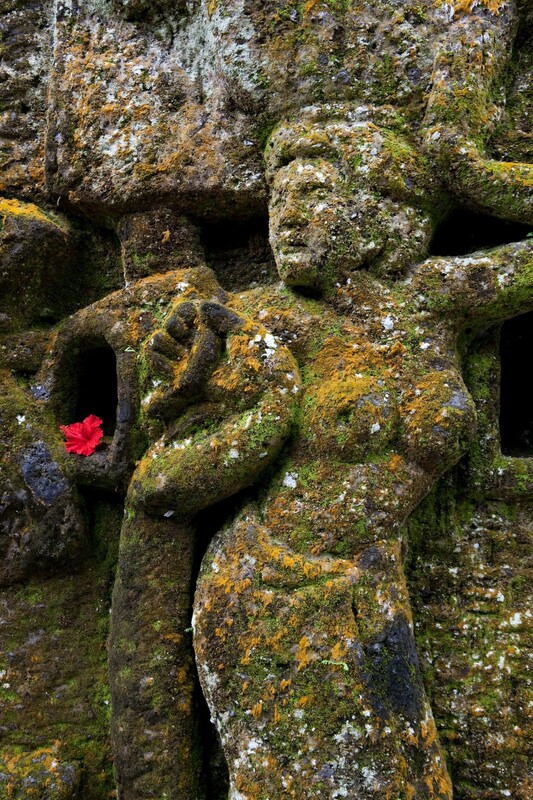 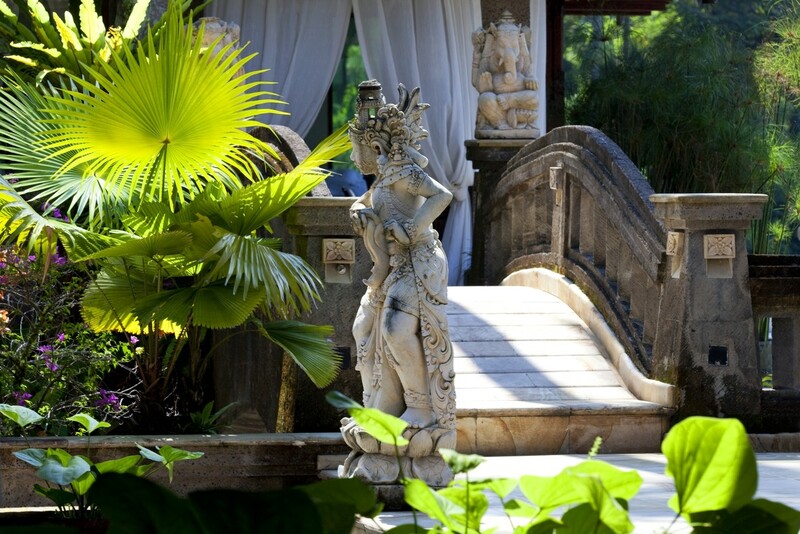 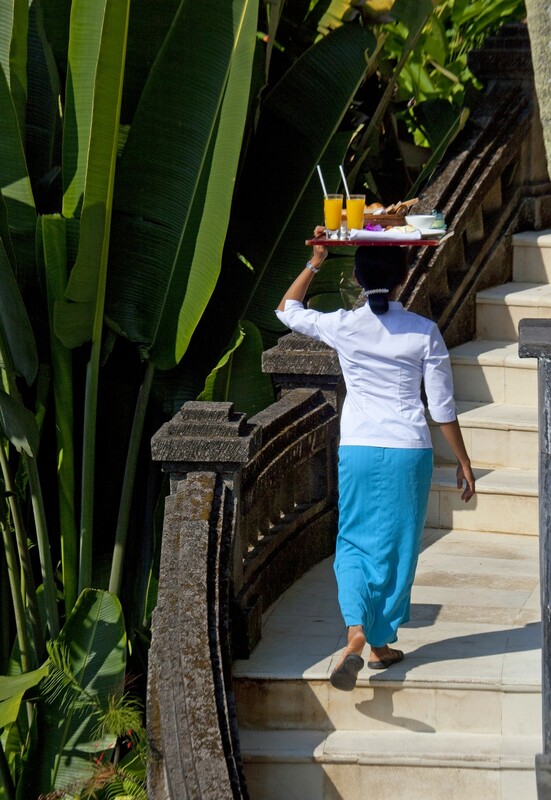 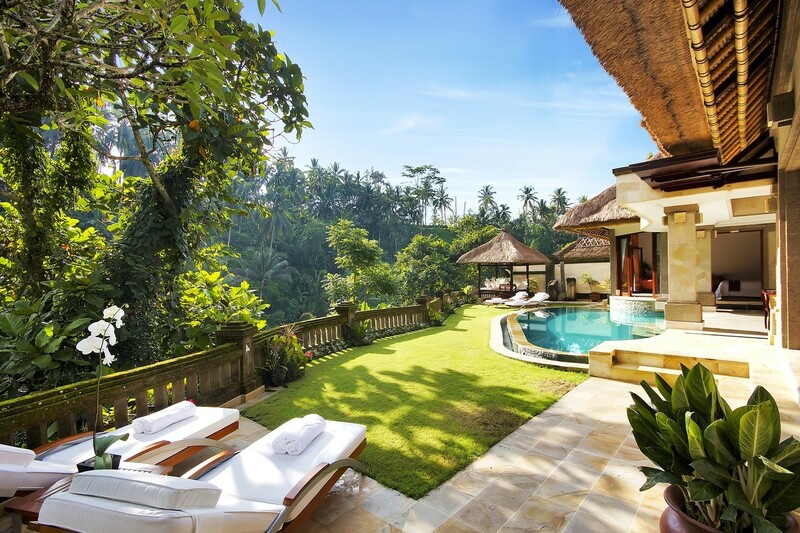 The highland property is located in a lush valley a short drive from the thriving arts and shopping community of Ubud and strategically to destinations throughout the island. 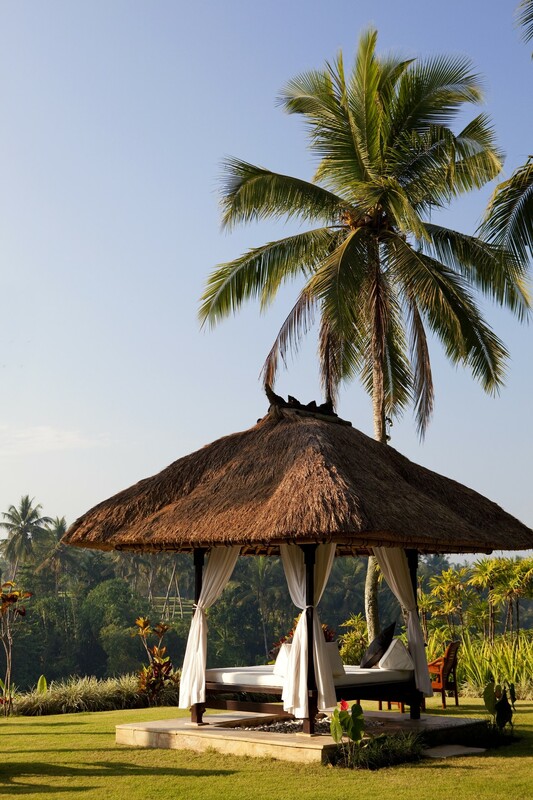 The Viceroy Bali is recognized amongst international travelers for its superior facilities including one of Bali’s most talked about restaurants and a spa with postcard perfect views of a tropical valley. 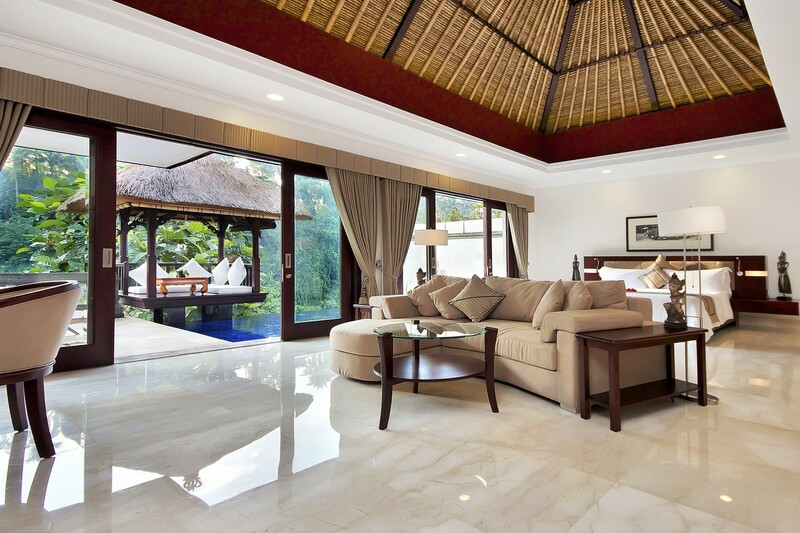 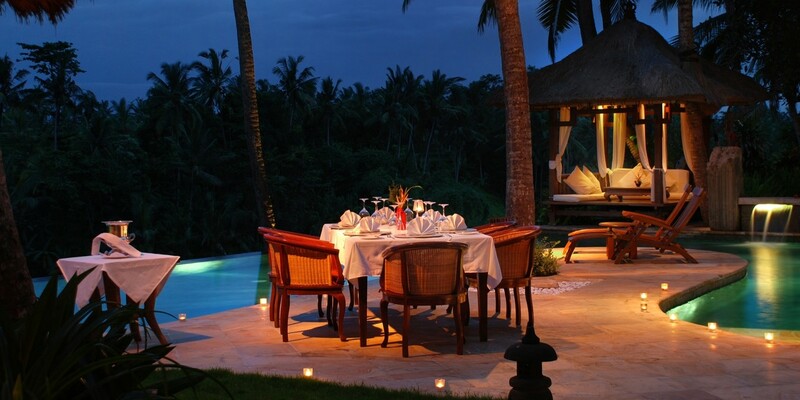 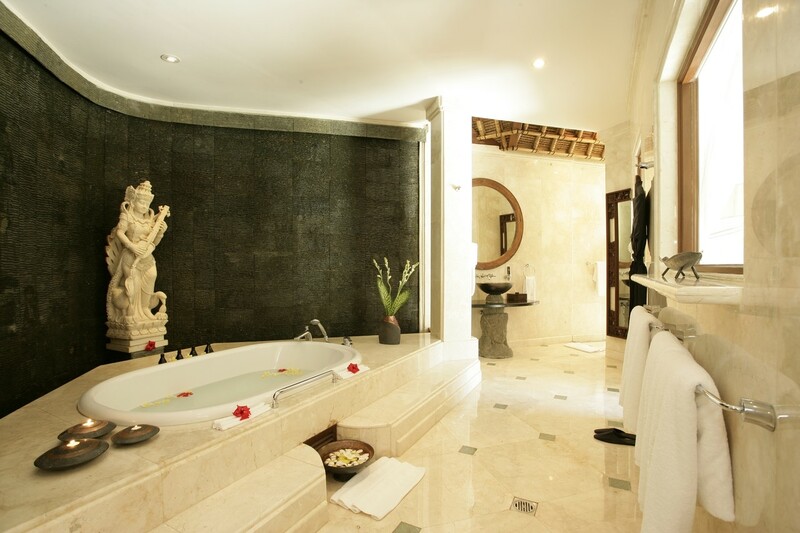 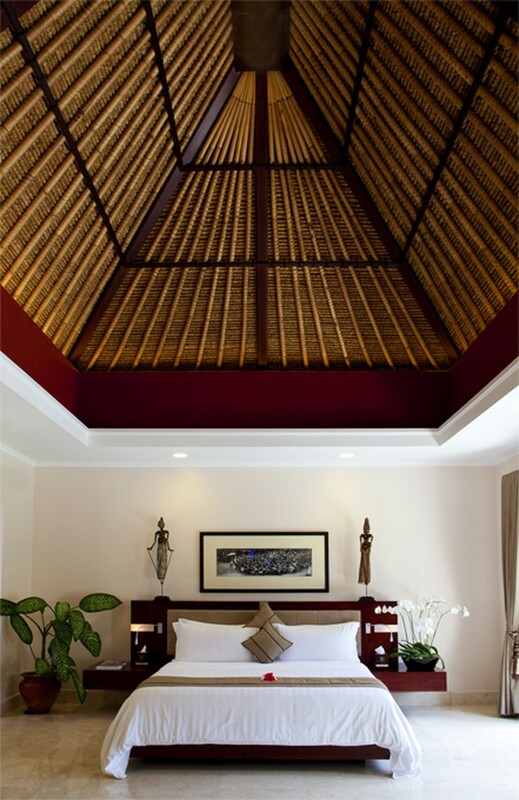 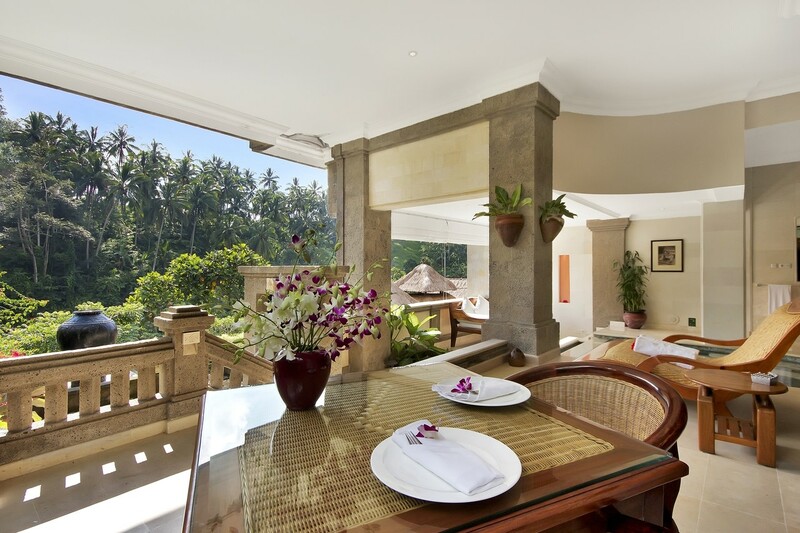 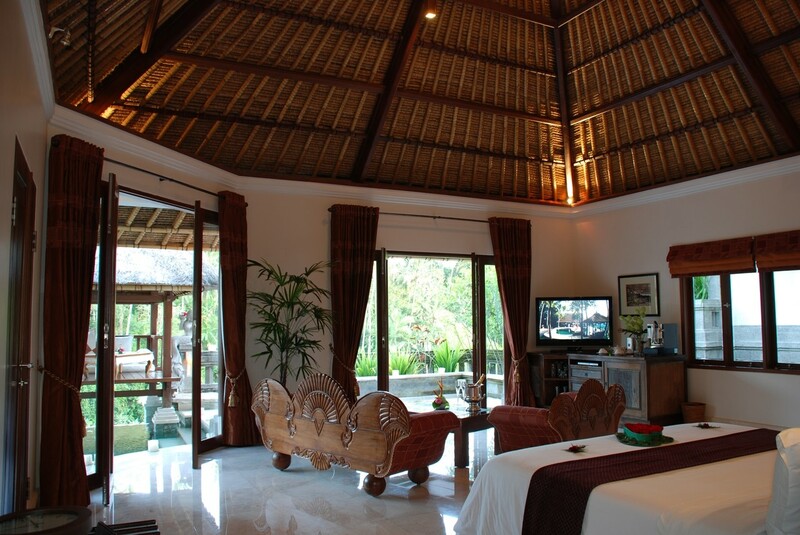 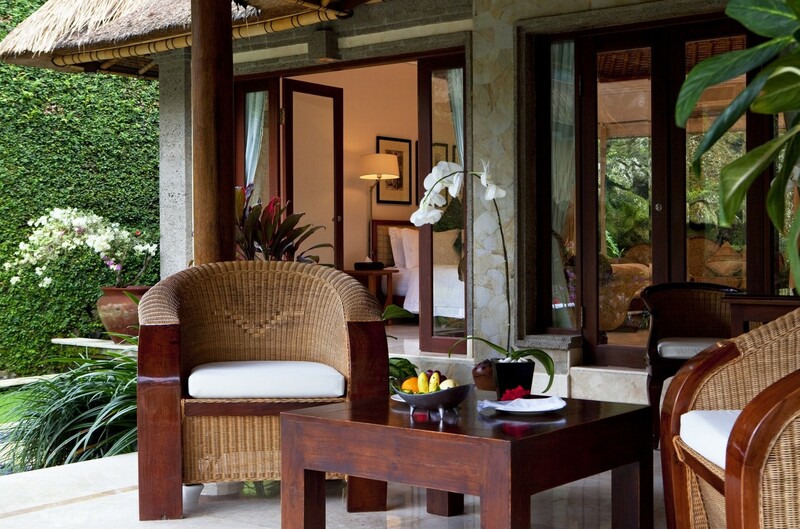 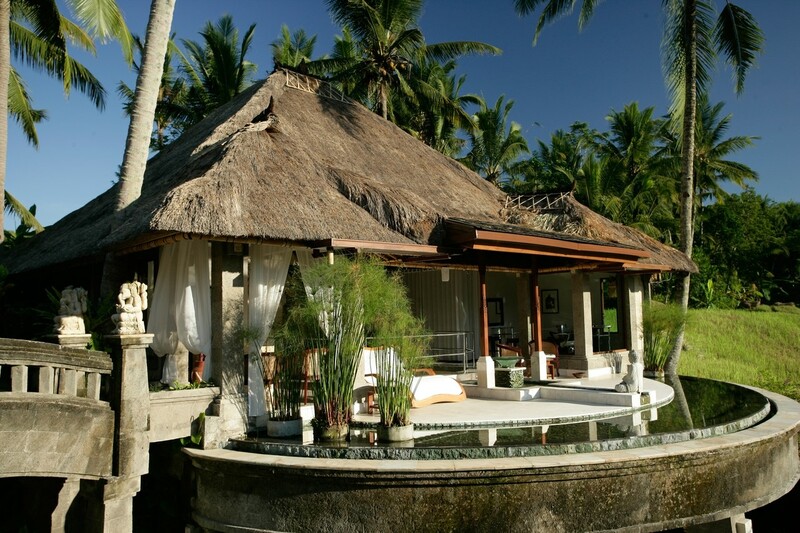 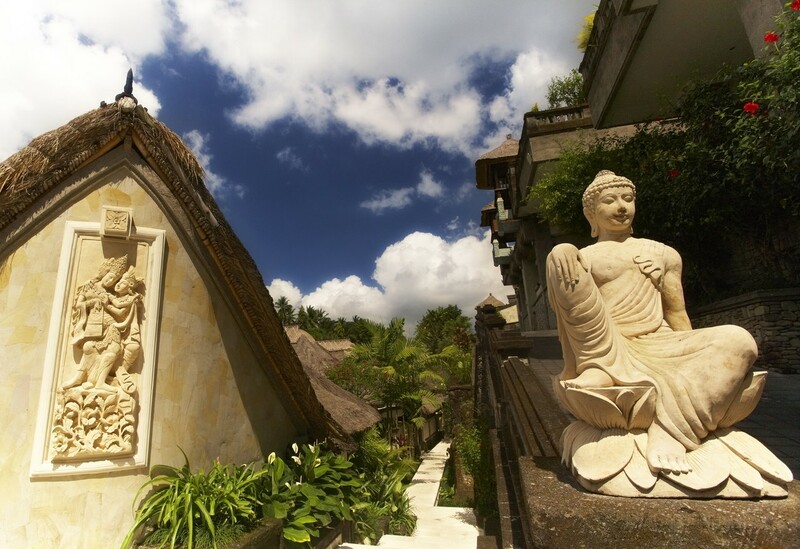 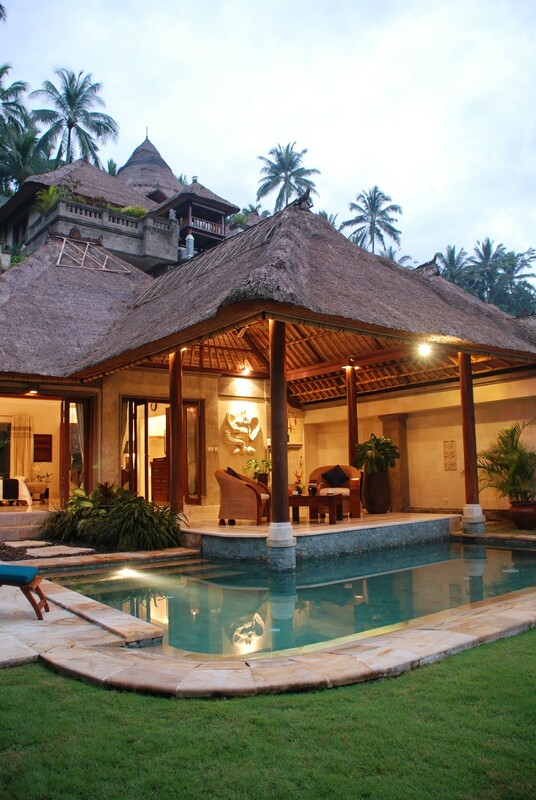 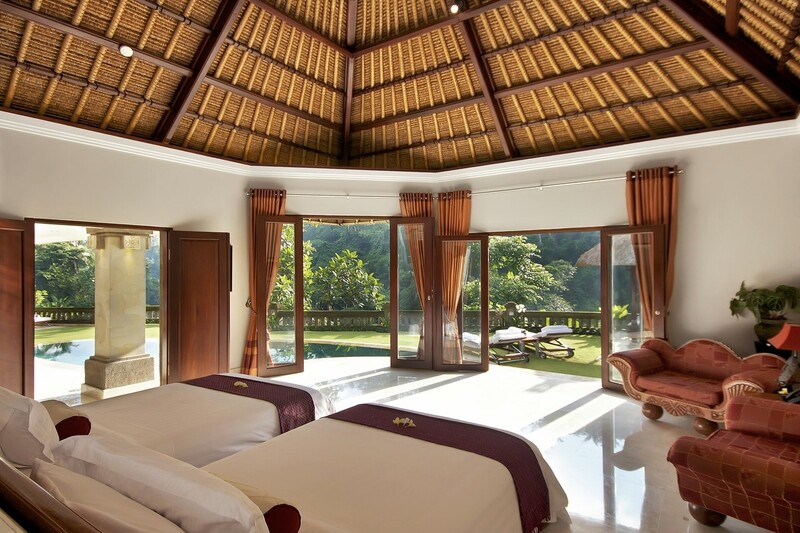 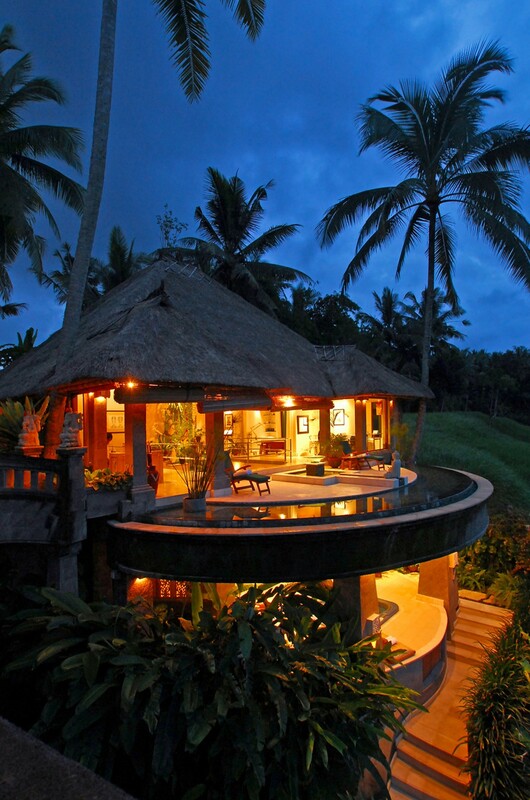 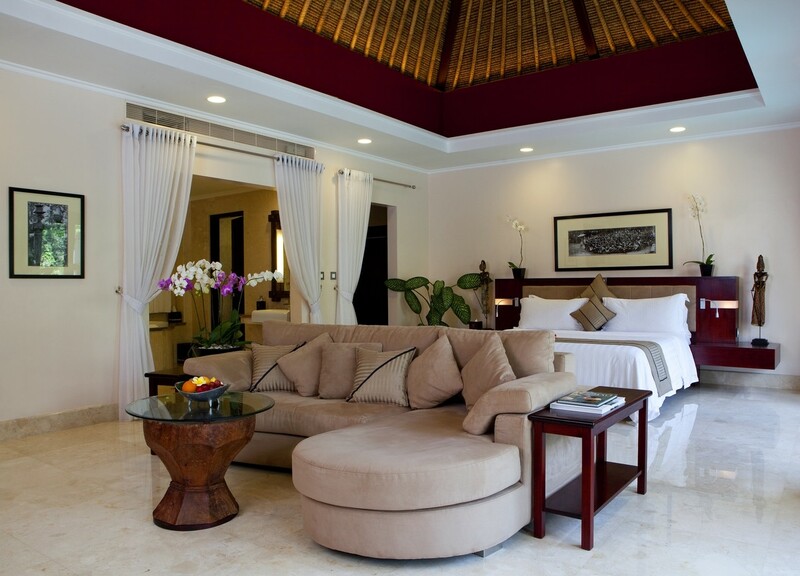 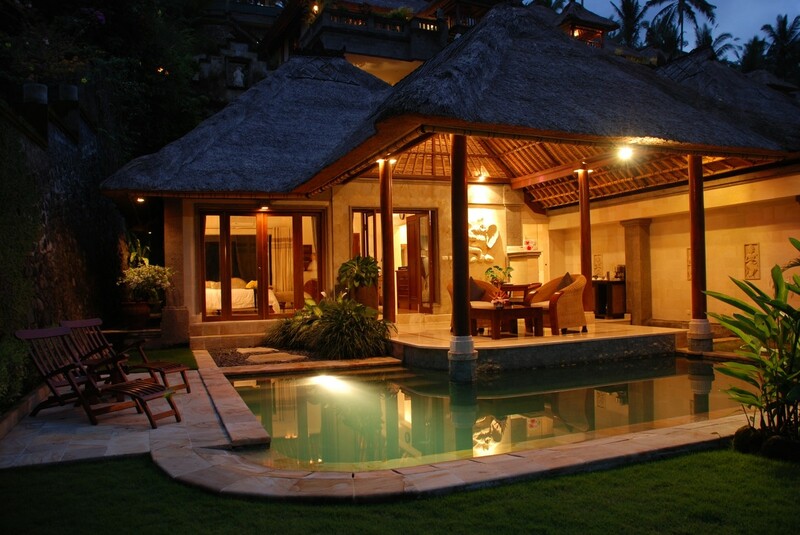 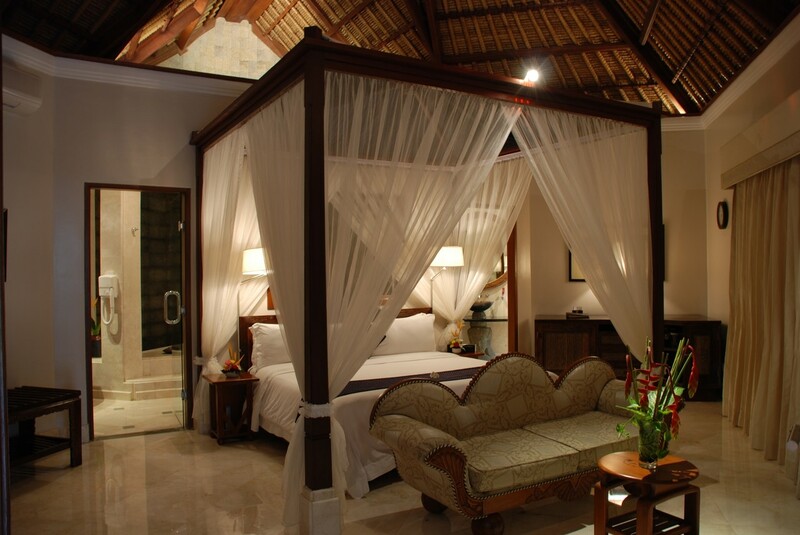 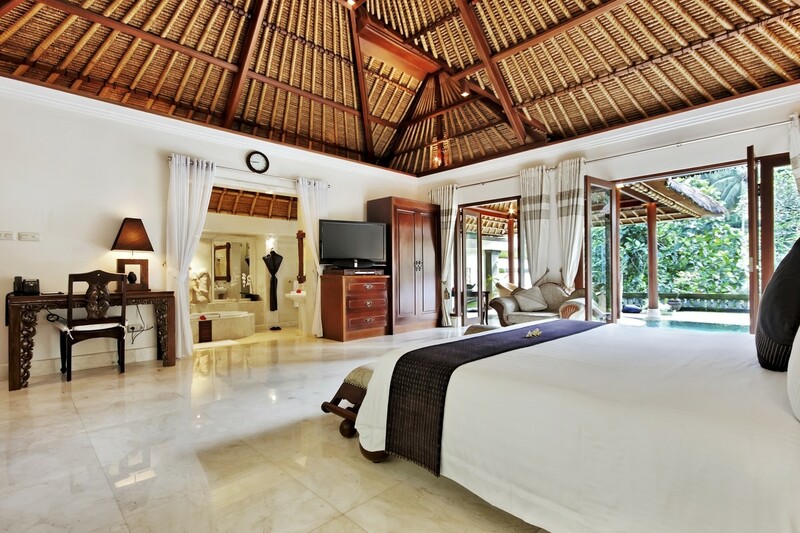 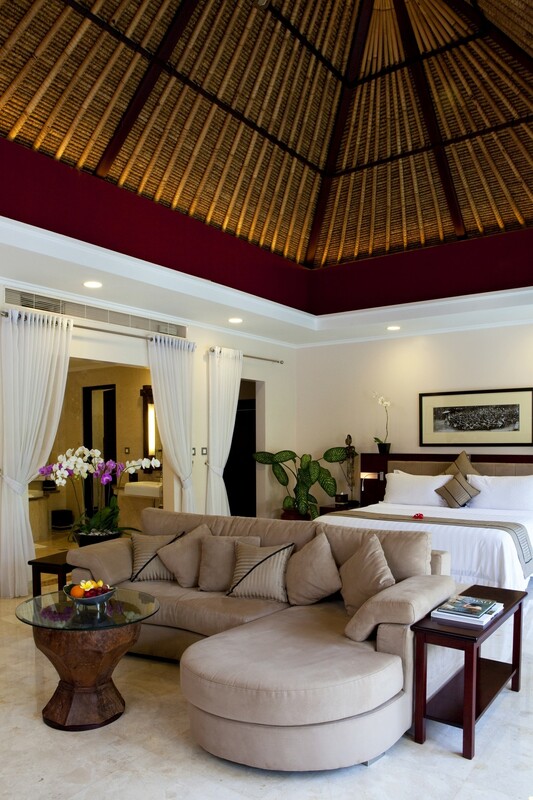 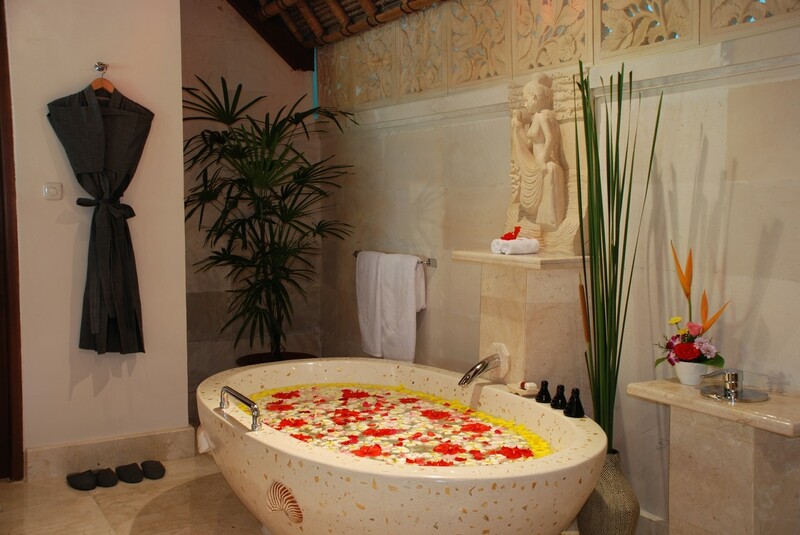 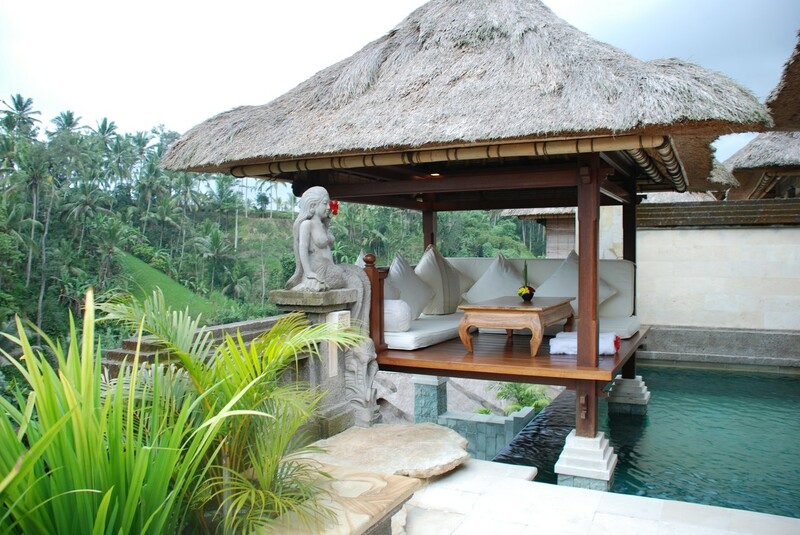 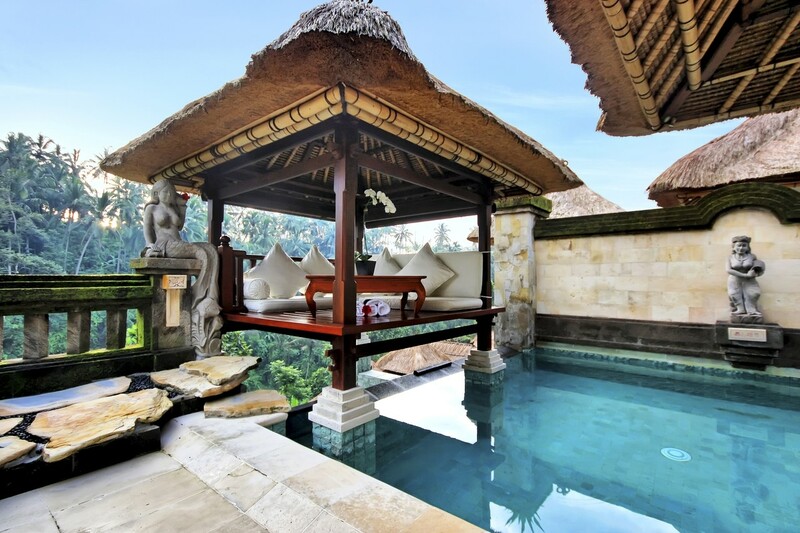 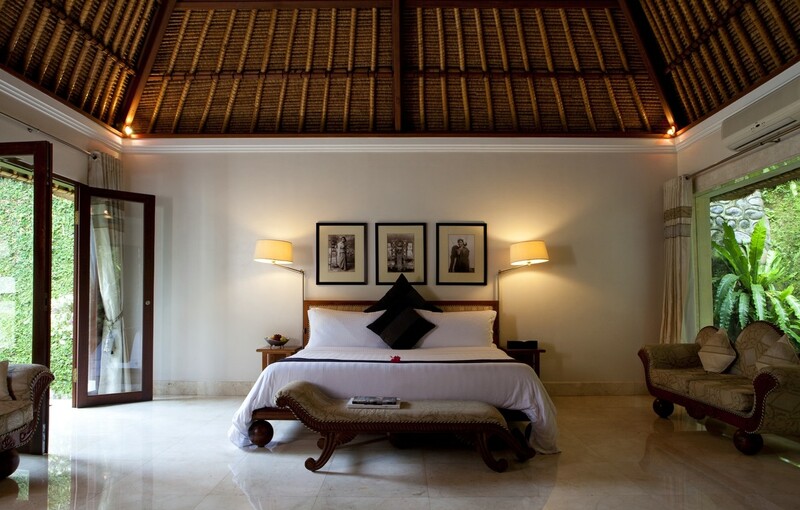 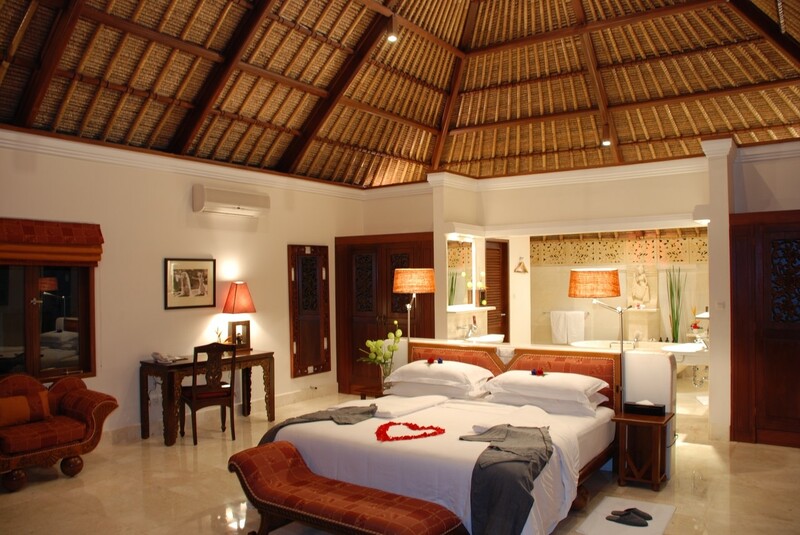 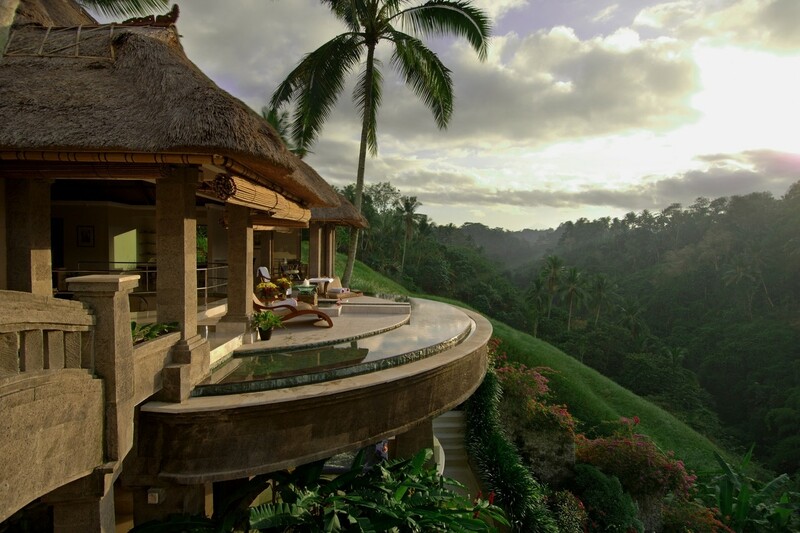 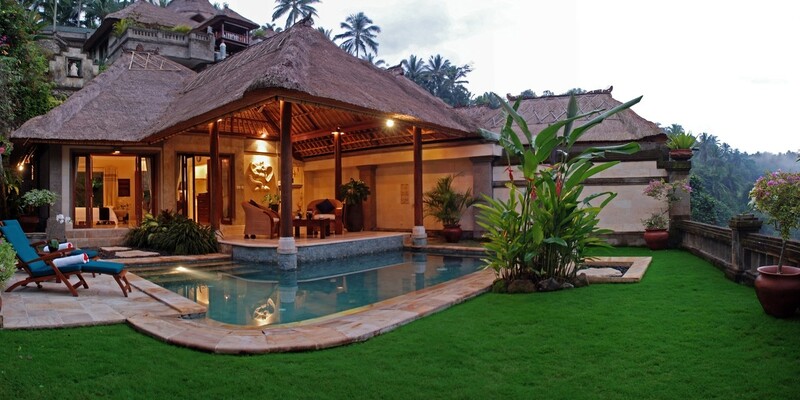 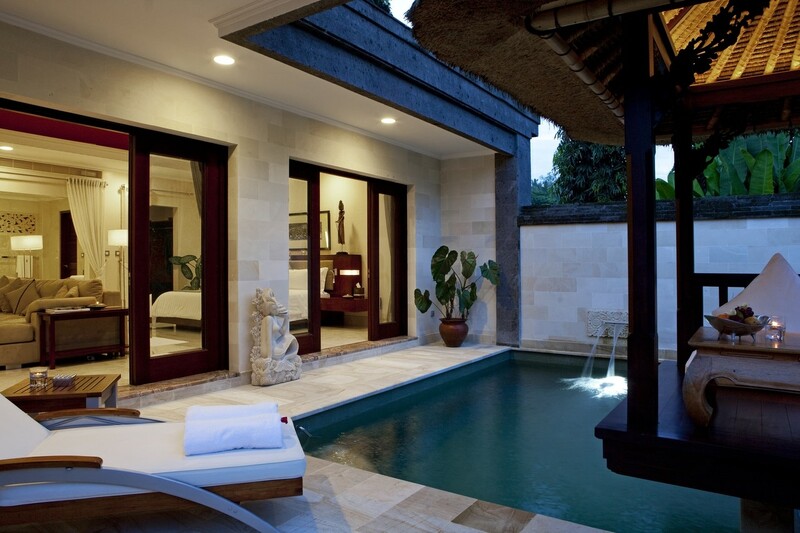 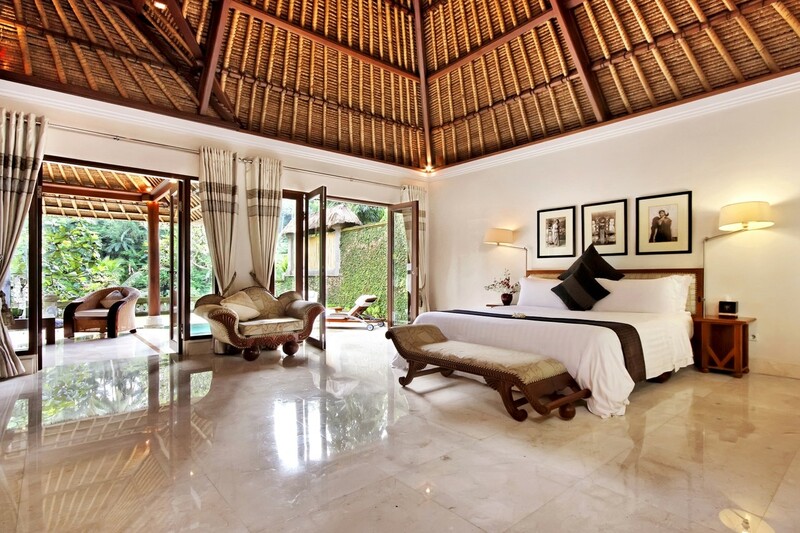 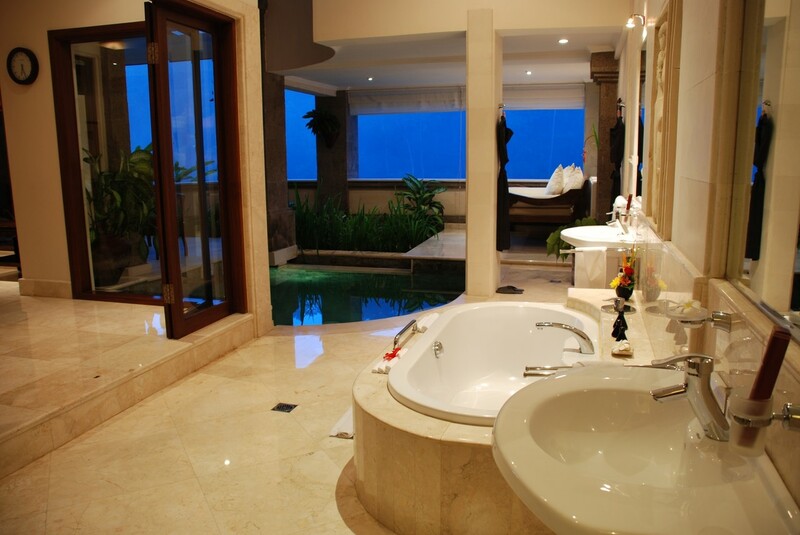 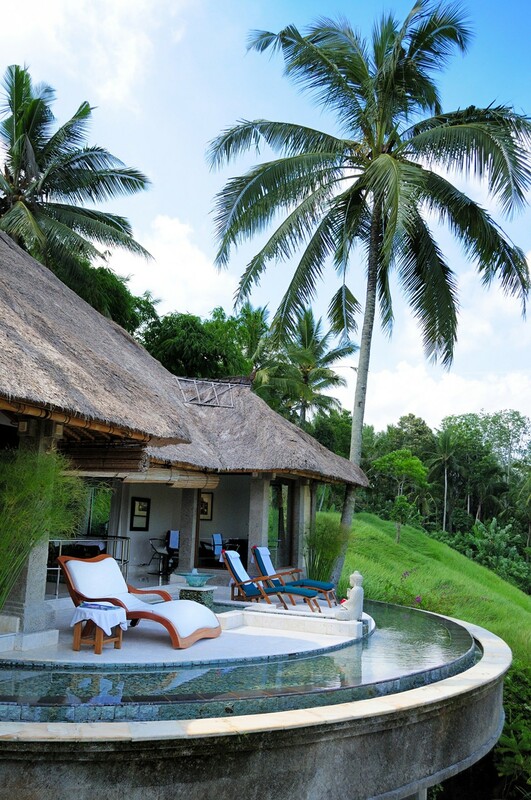 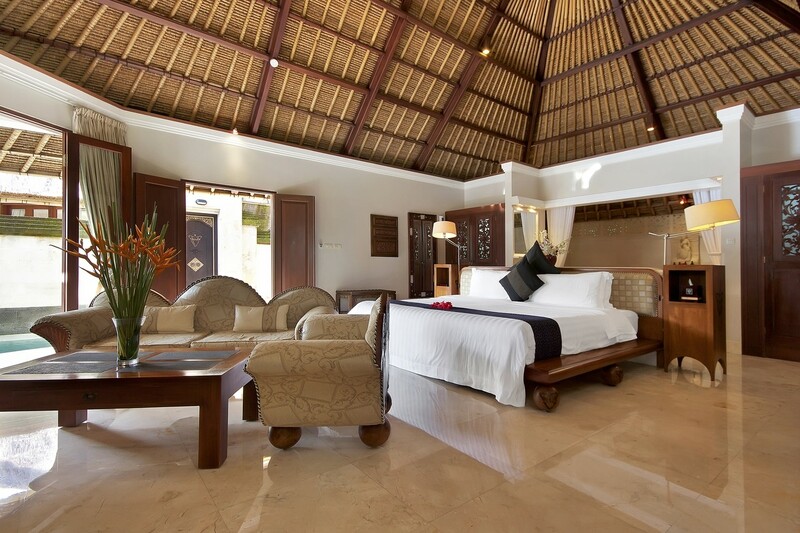 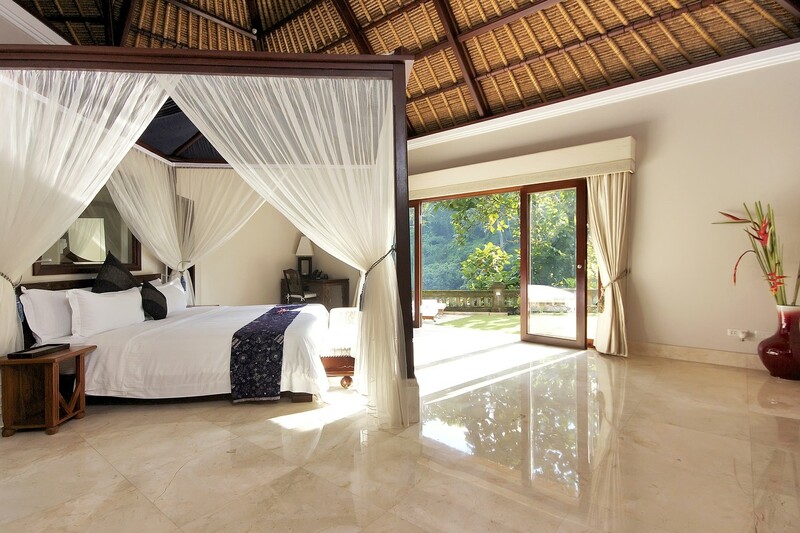 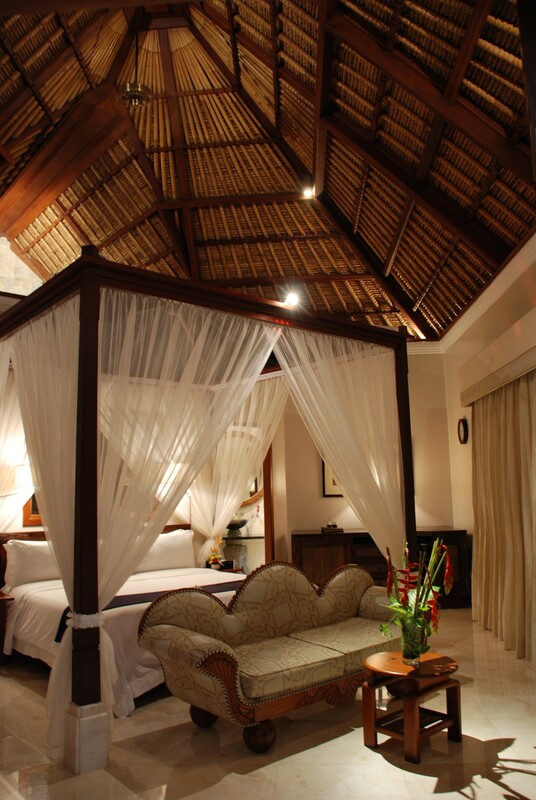 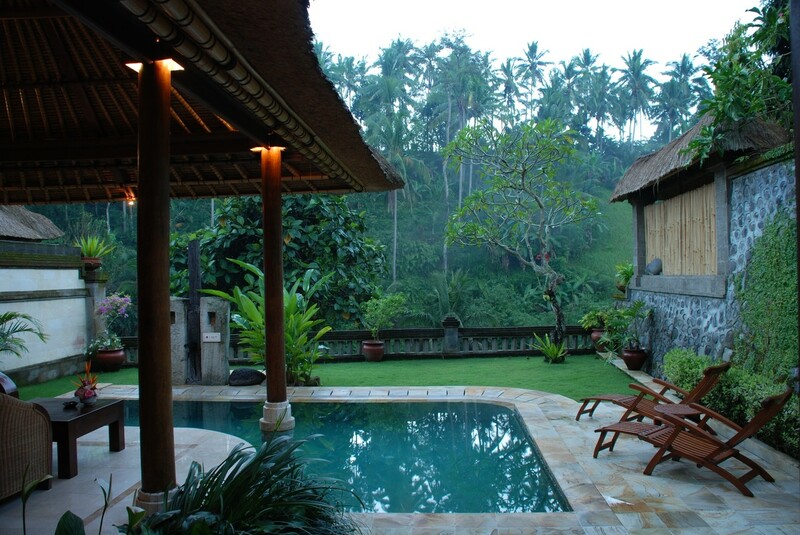 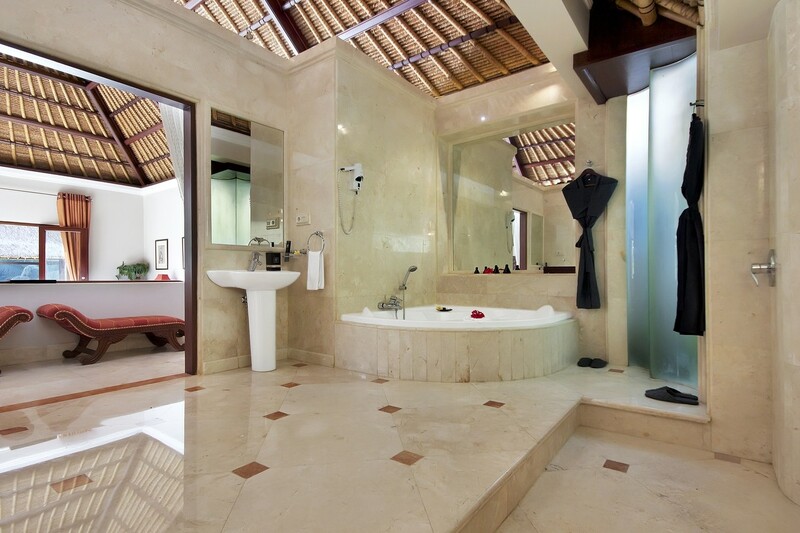 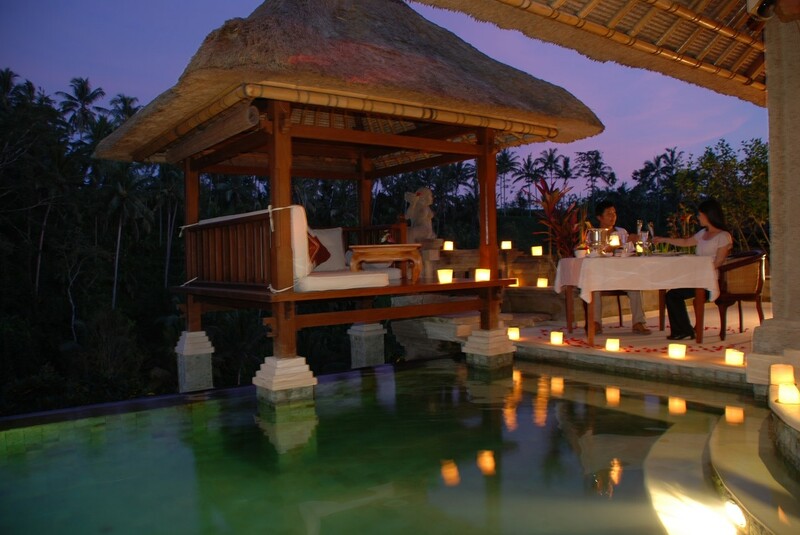 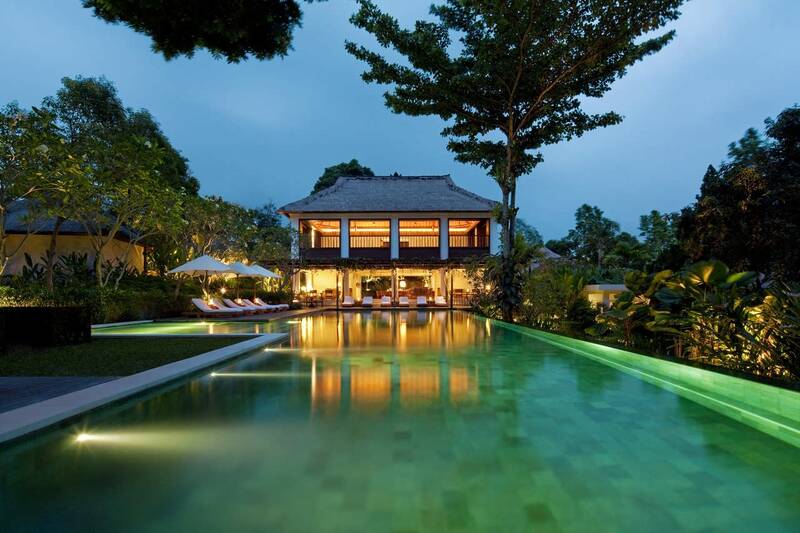 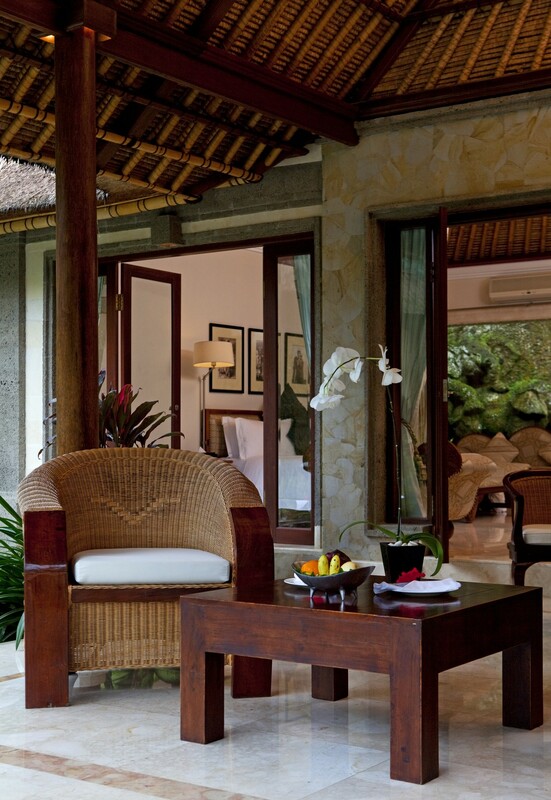 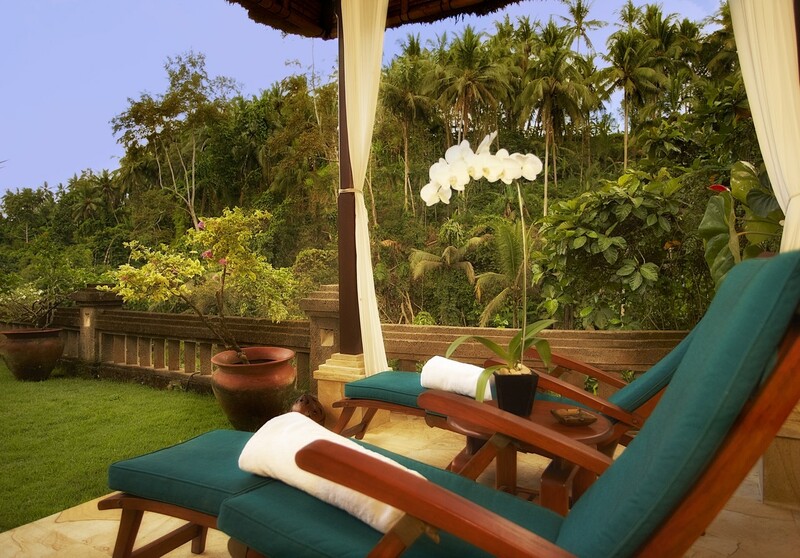 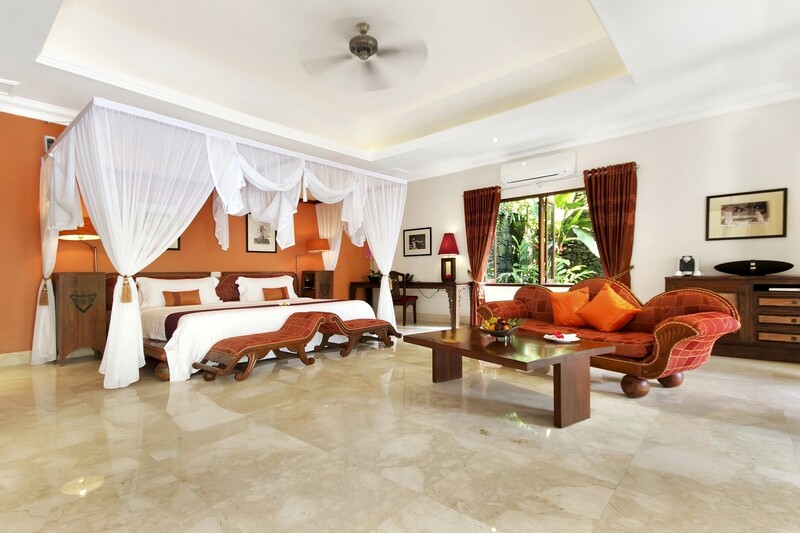 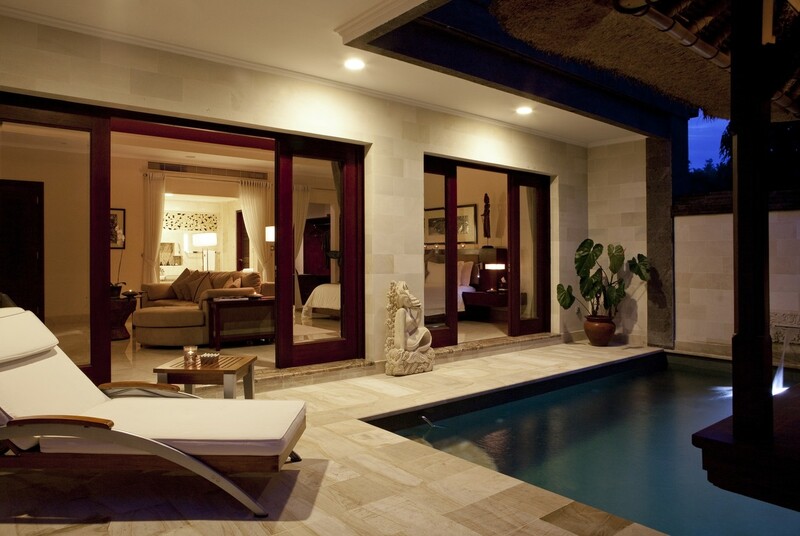 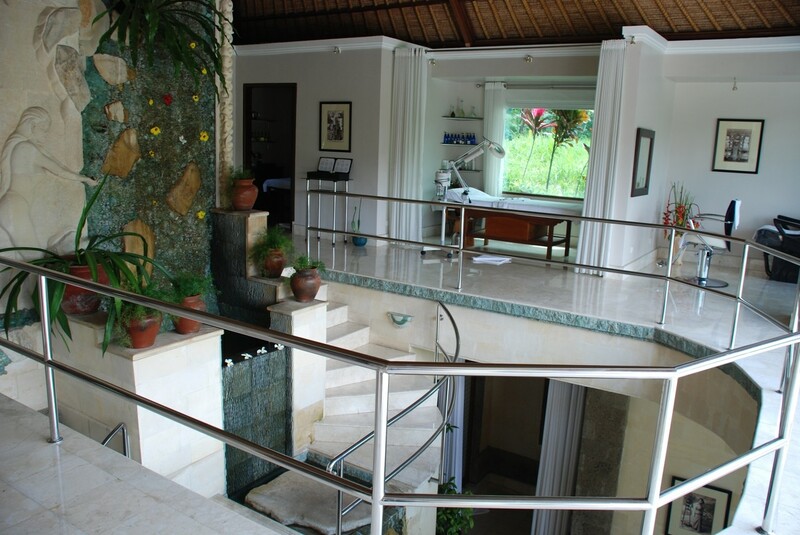 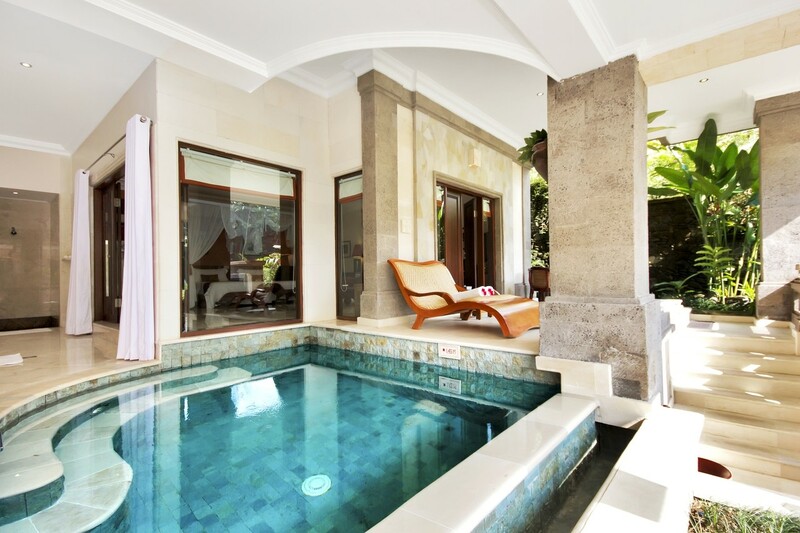 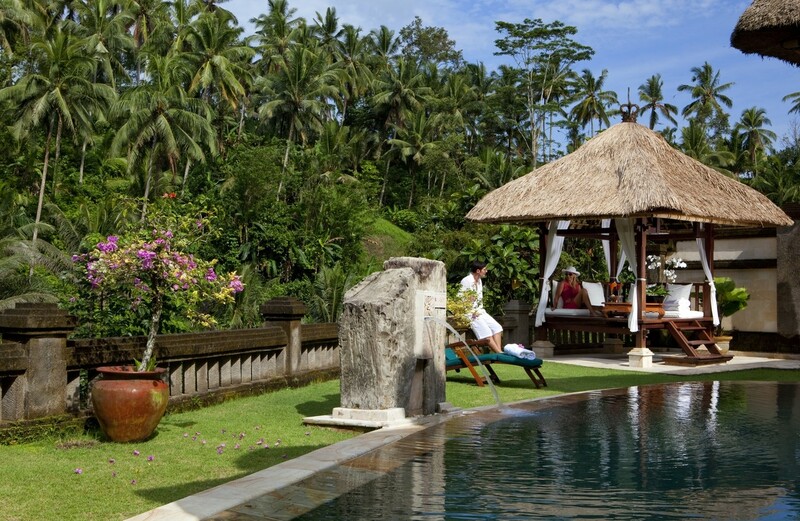 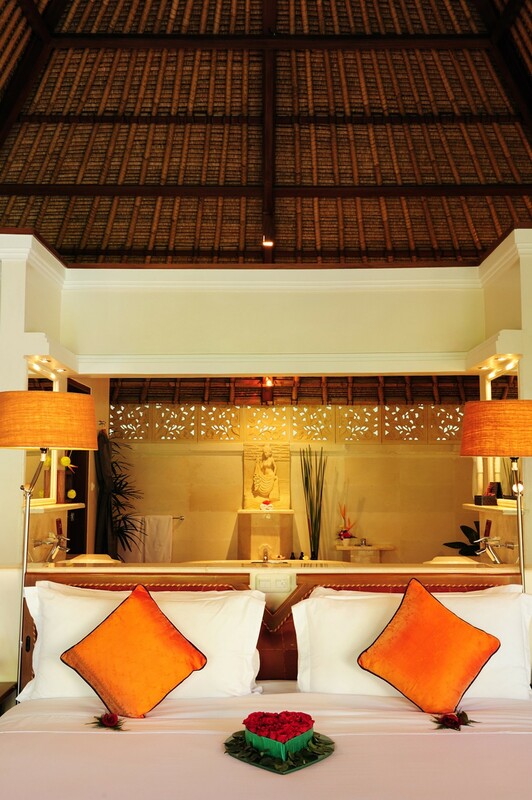 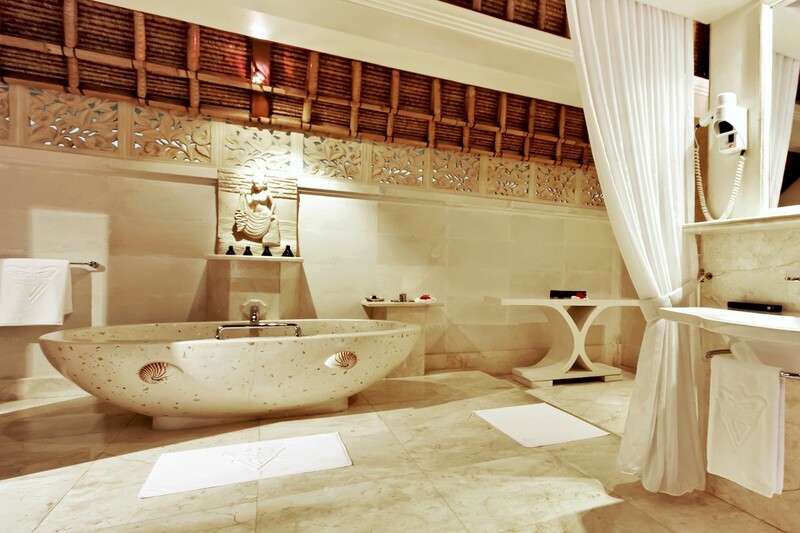 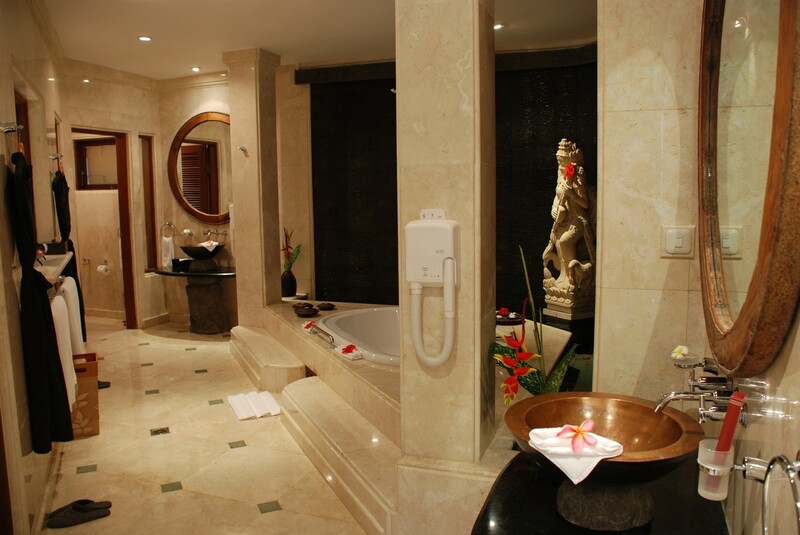 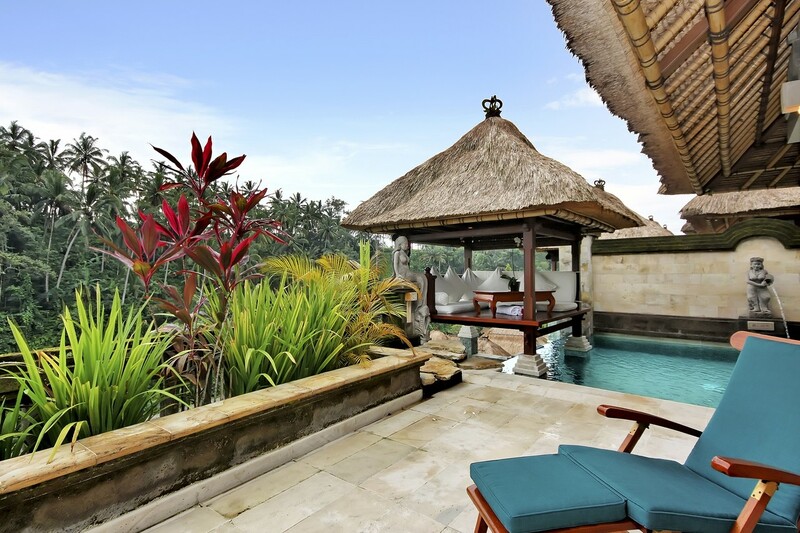 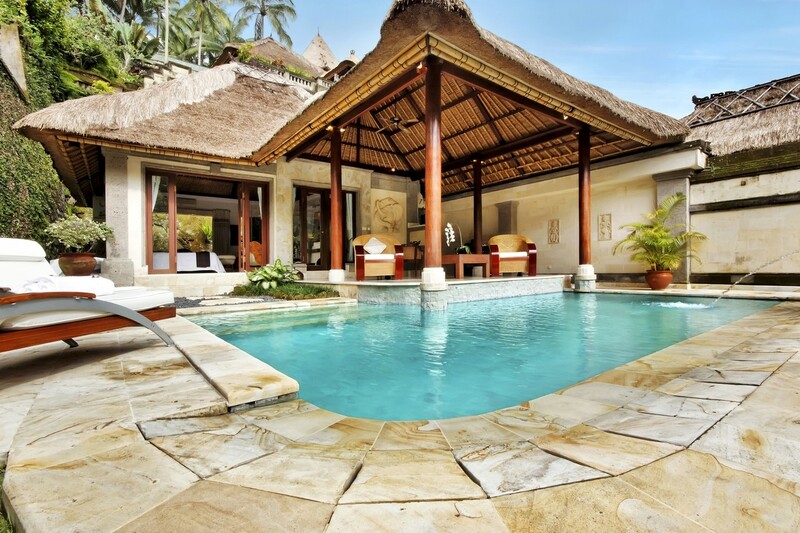 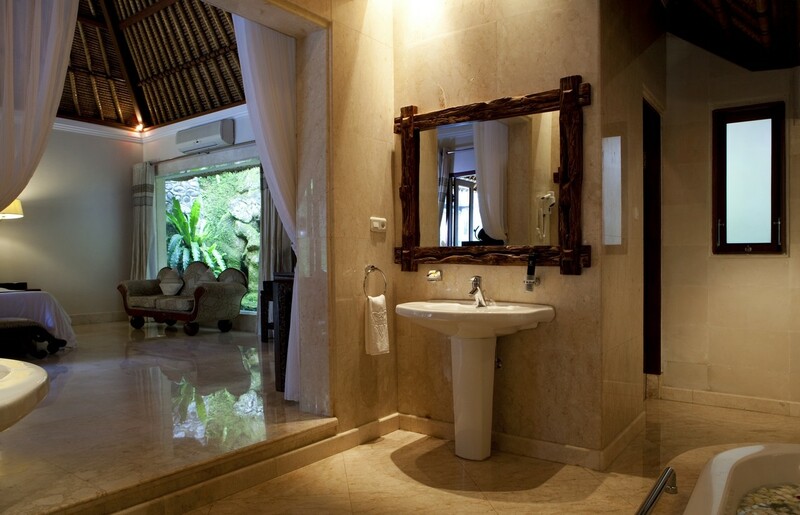 In 2011 the property management concluded the highly anticipated construction of 10 “rustic-chic” Deluxe villas that involved a design redirection from the more traditional Balinese villas that opened the property. 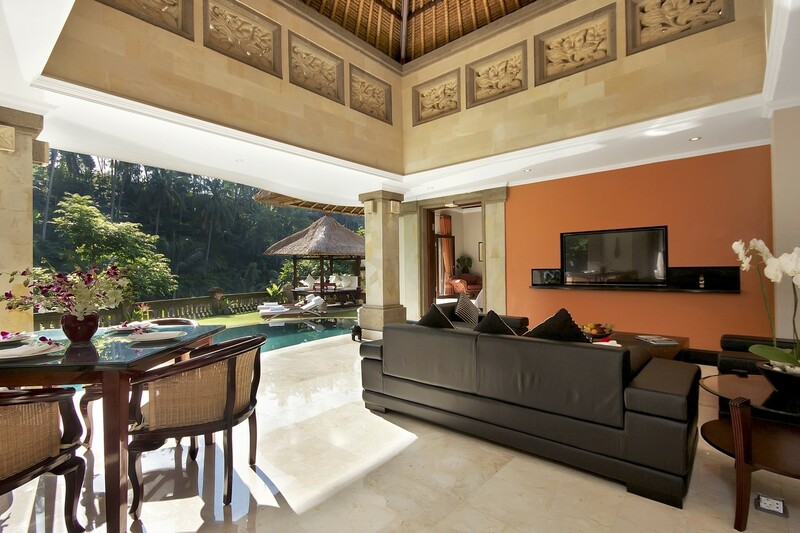 The clutch of new Deluxe villas offer clean and modern lines that have set a standard for an upcoming refurbishment of the original villas with a completion earmarked for Q3, 2012.